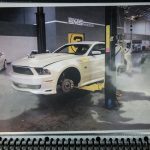 From our friend Sean Lorentzen. 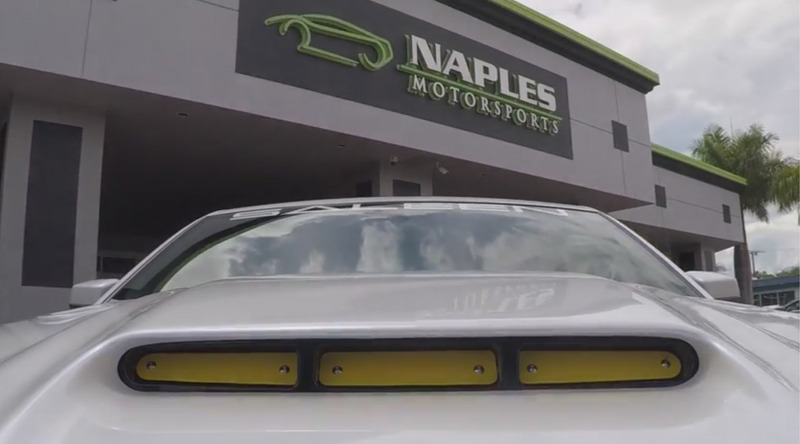 From our friends at Naples Motorsports Inc. 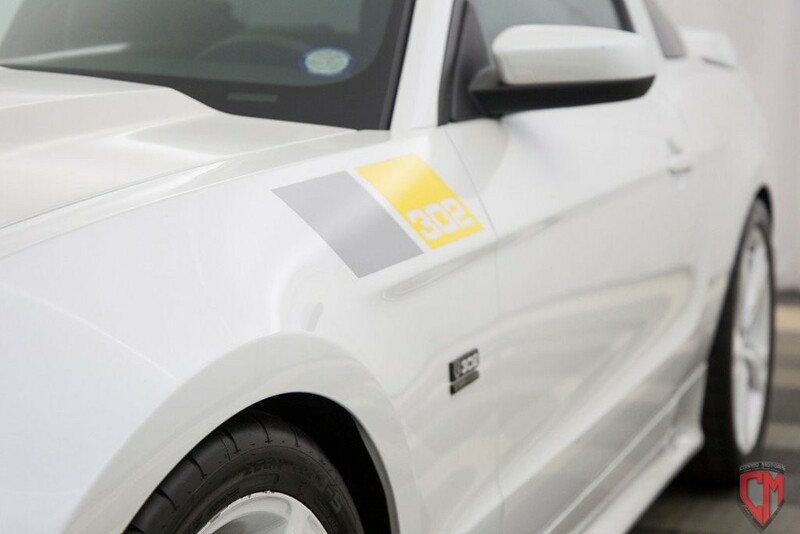 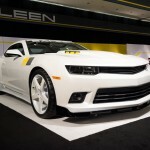 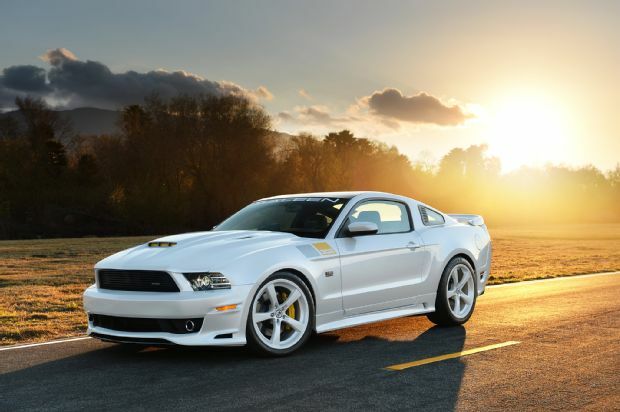 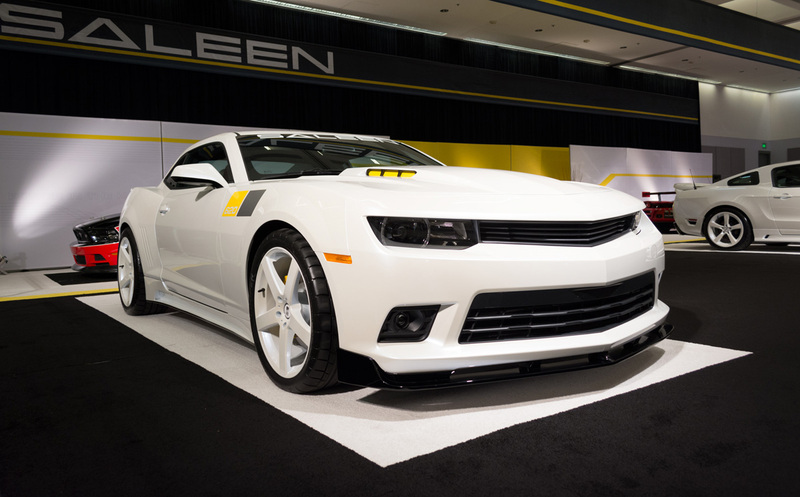 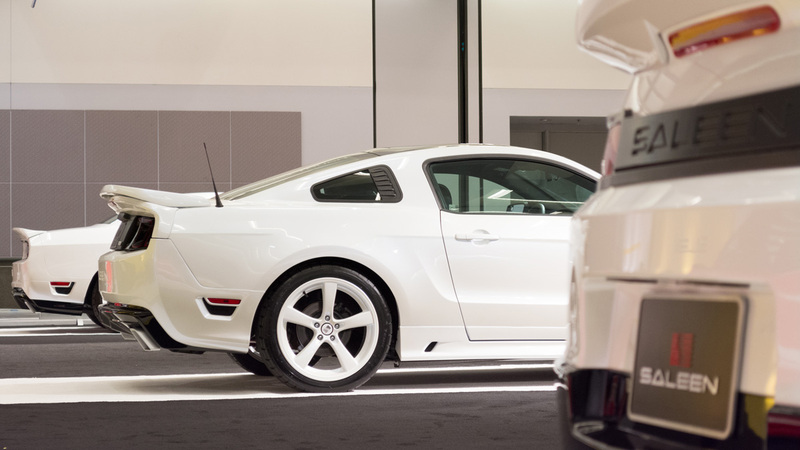 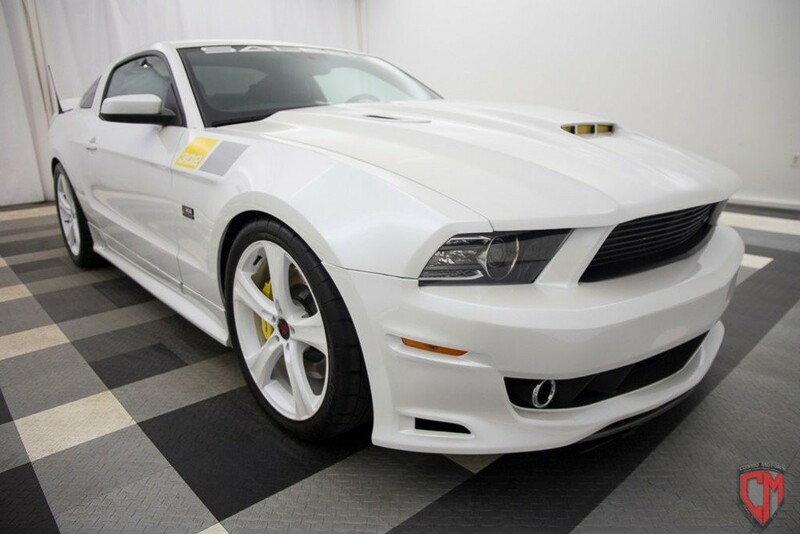 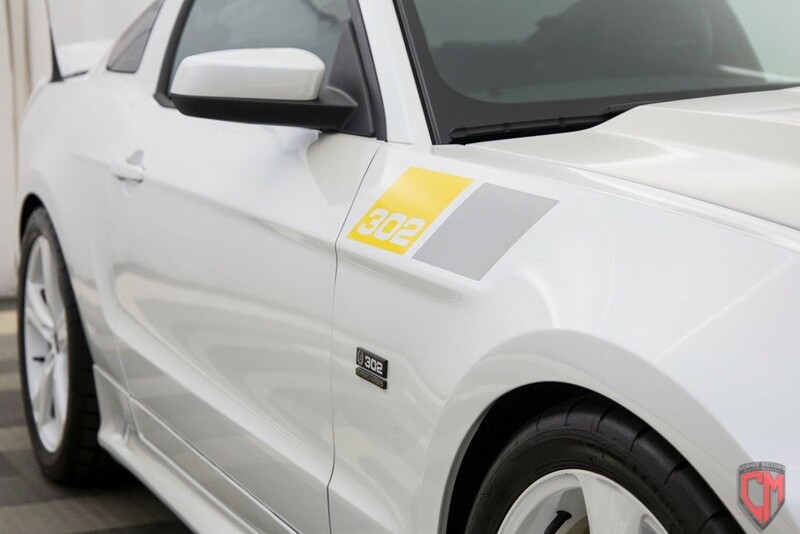 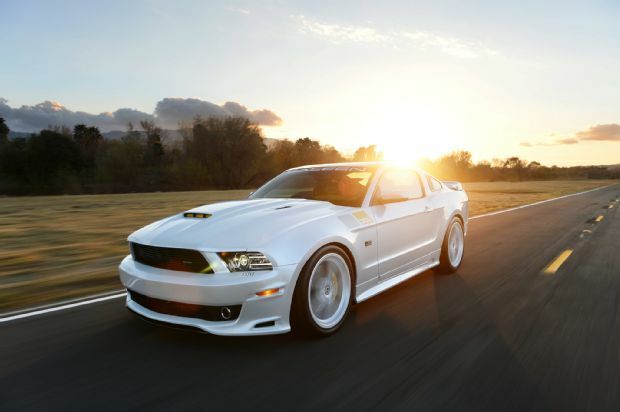 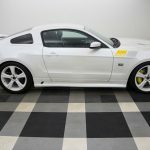 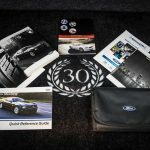 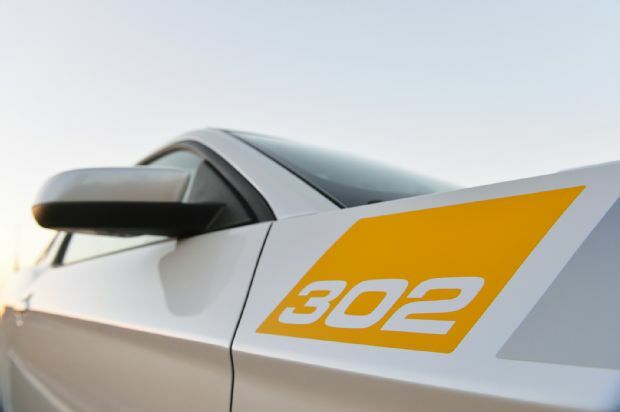 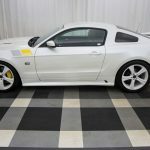 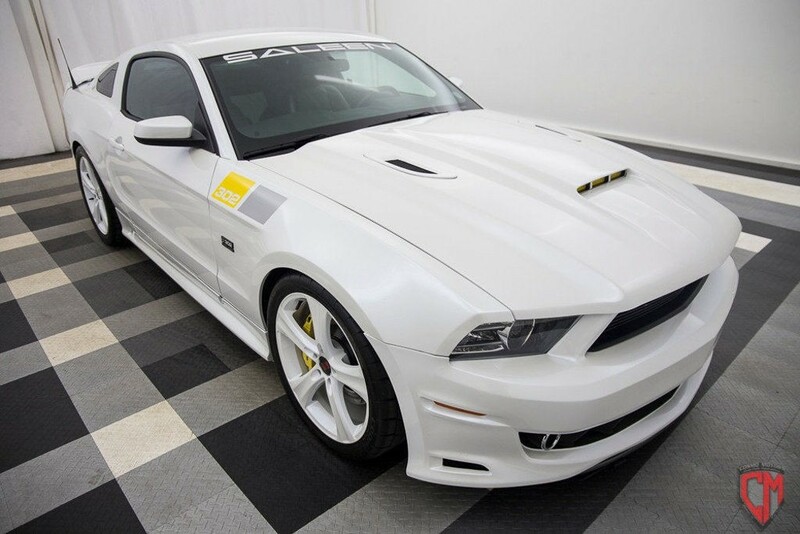 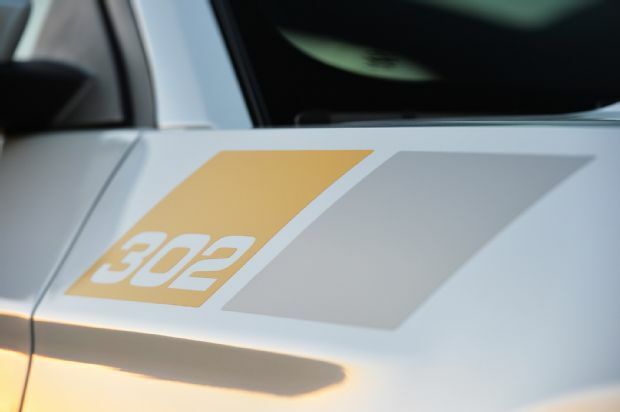 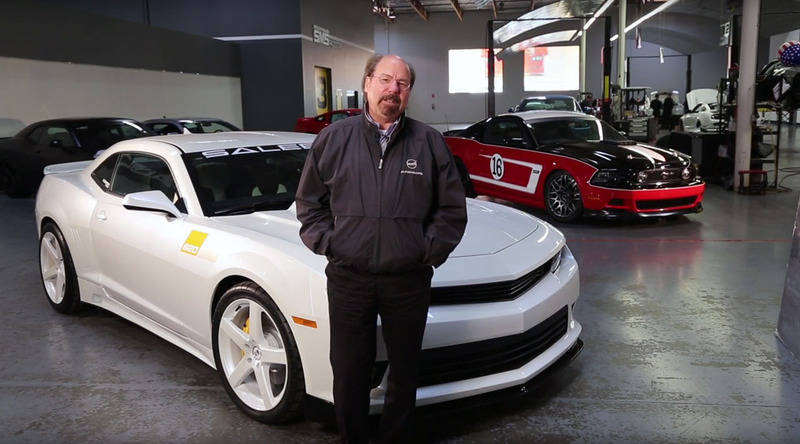 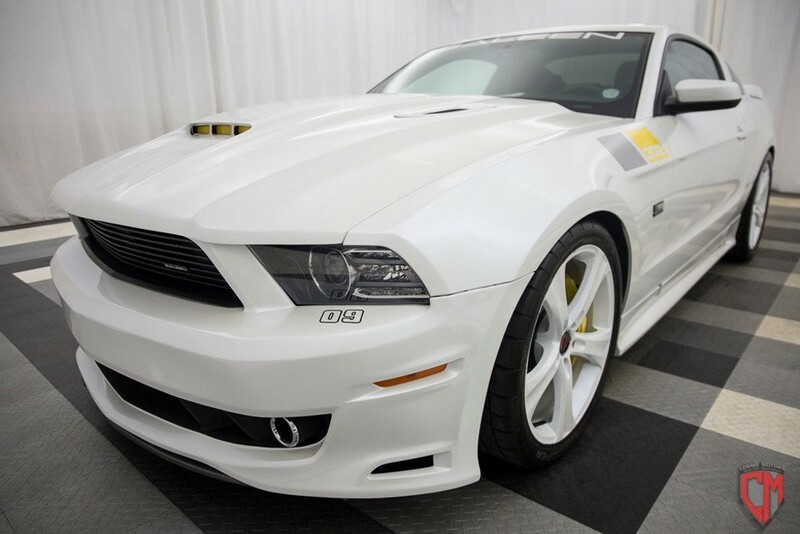 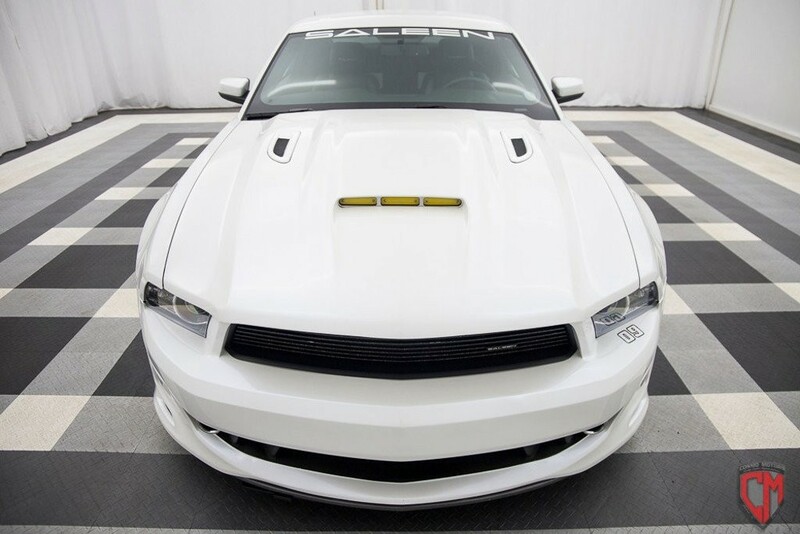 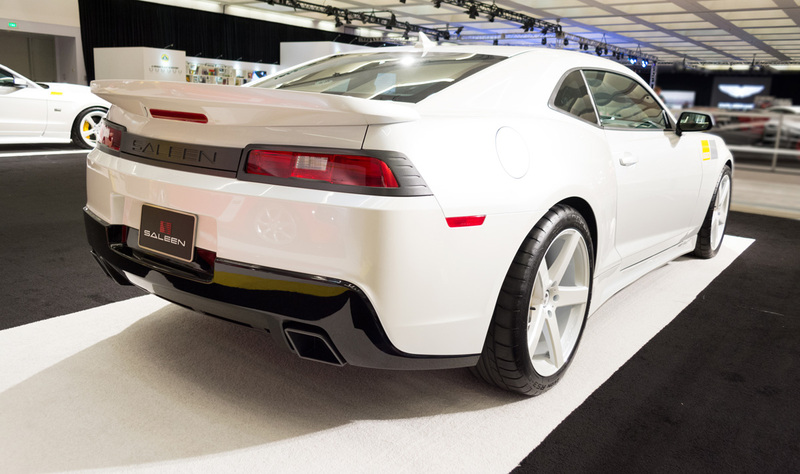 Launched during the LA Auto Show in autumn 2013 to celebrate Saleen Automotives 30 years of manufacturing, this pearl white and yellow 30th anniversary appearance package was made available for 302 Mustang, 570 Challenger and 620 Camaro models. 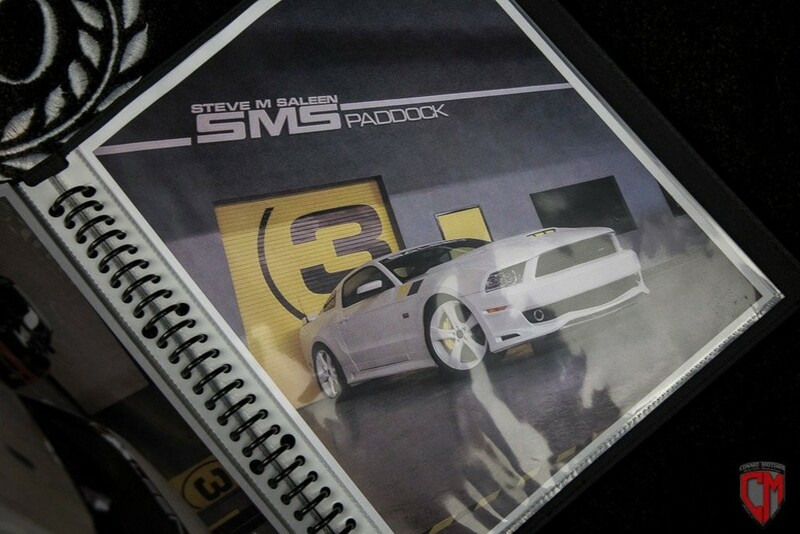 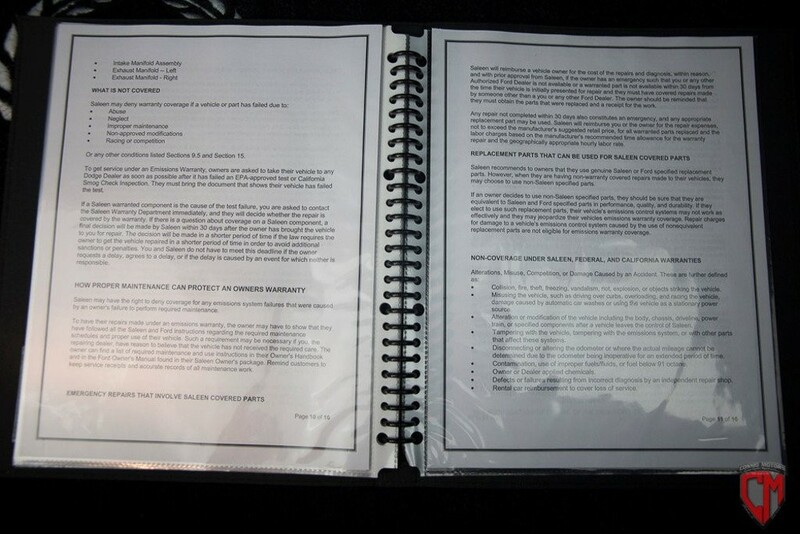 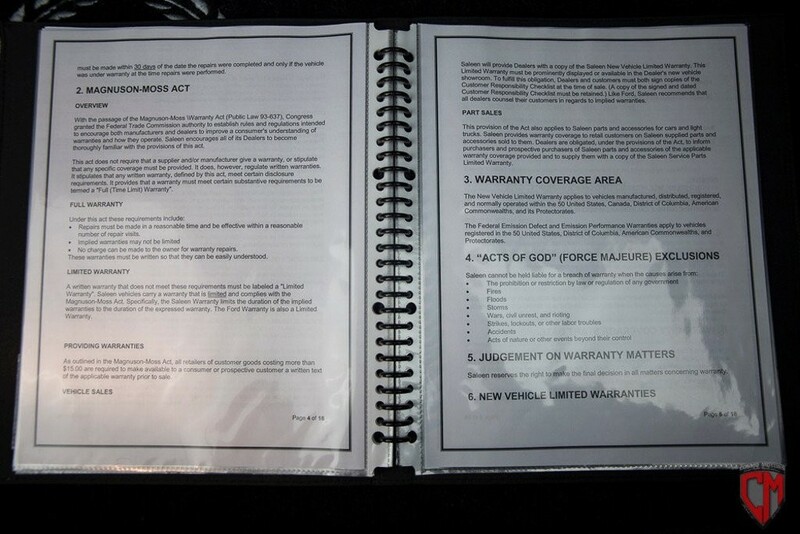 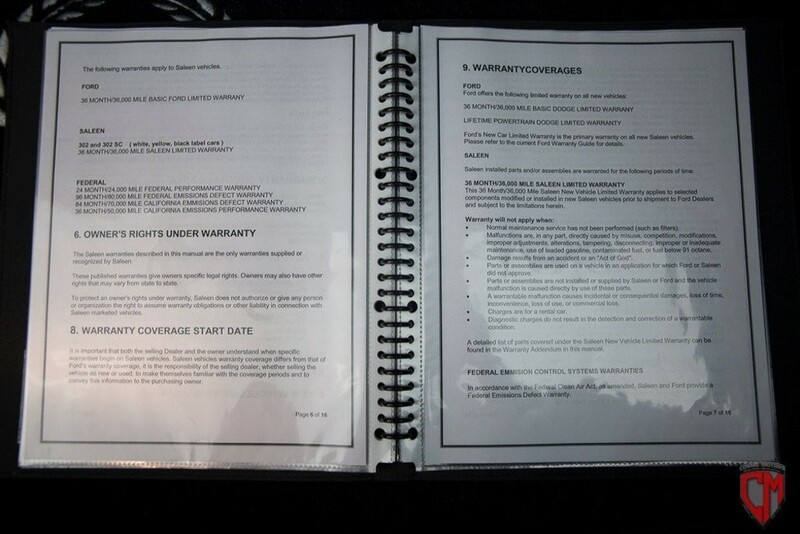 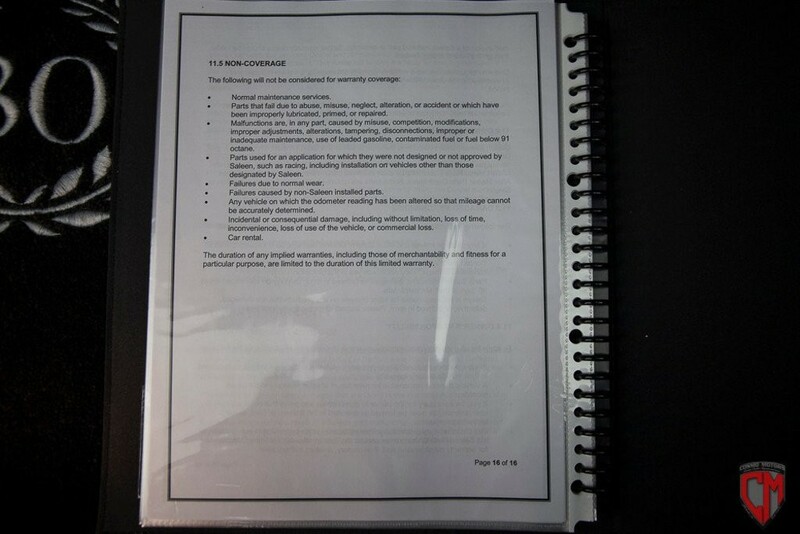 Final build was capped to thirty cars total (ten editions in each vehicle series) at a base cost of $95,000.00. 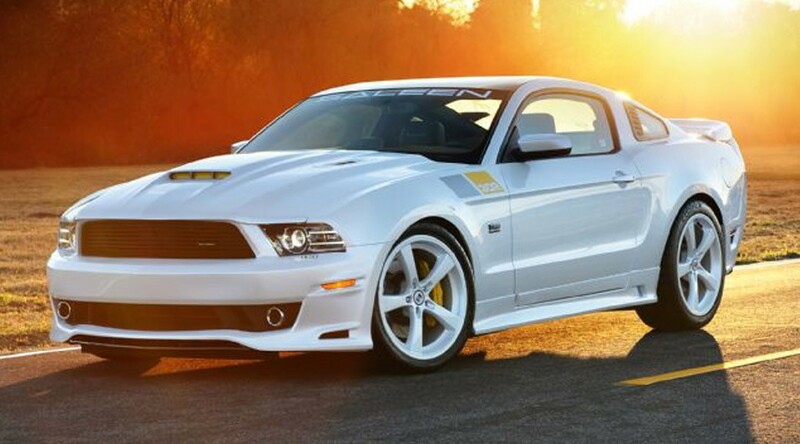 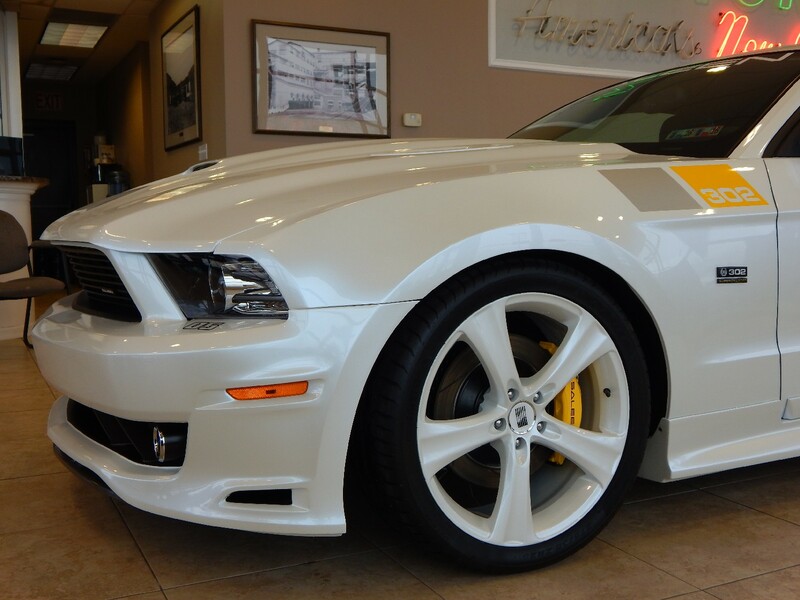 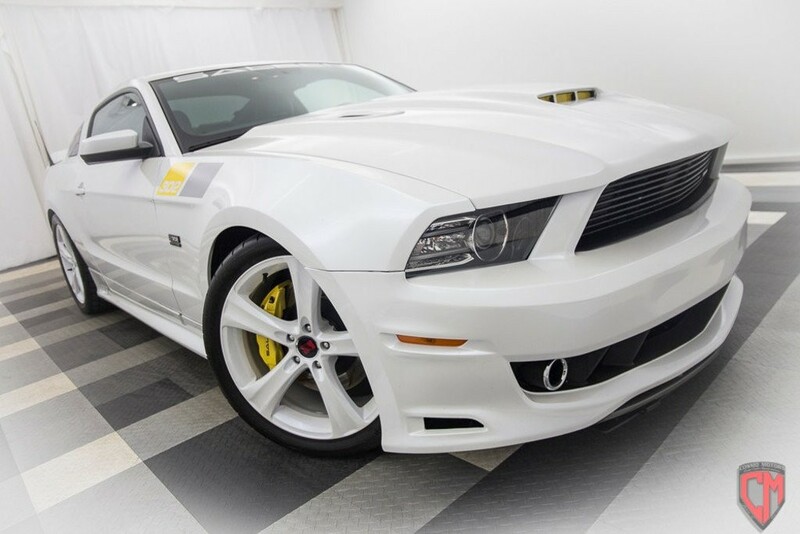 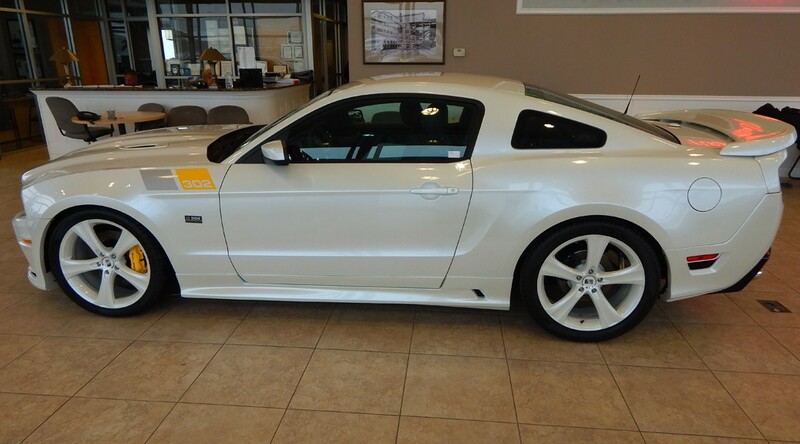 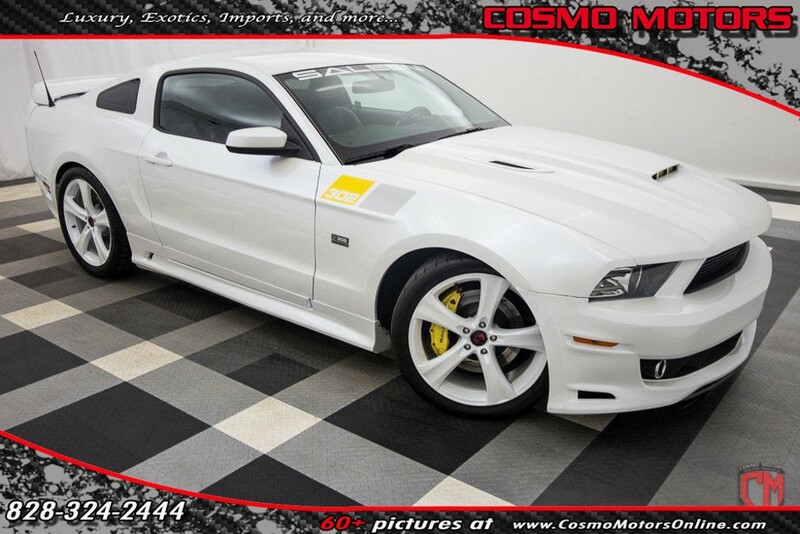 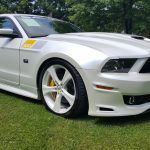 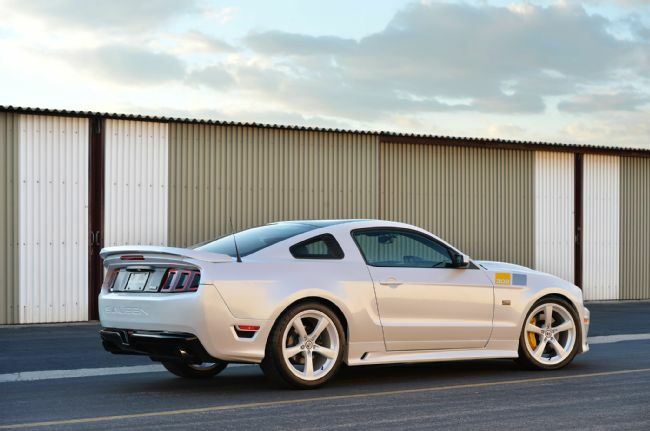 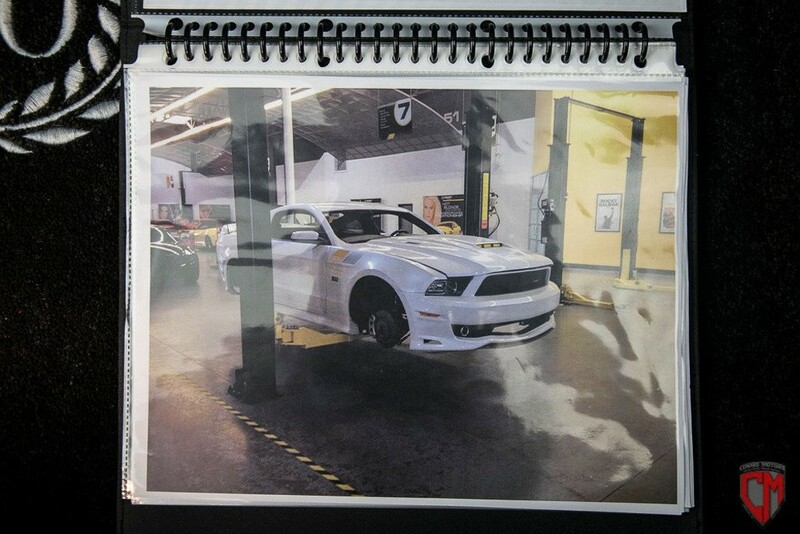 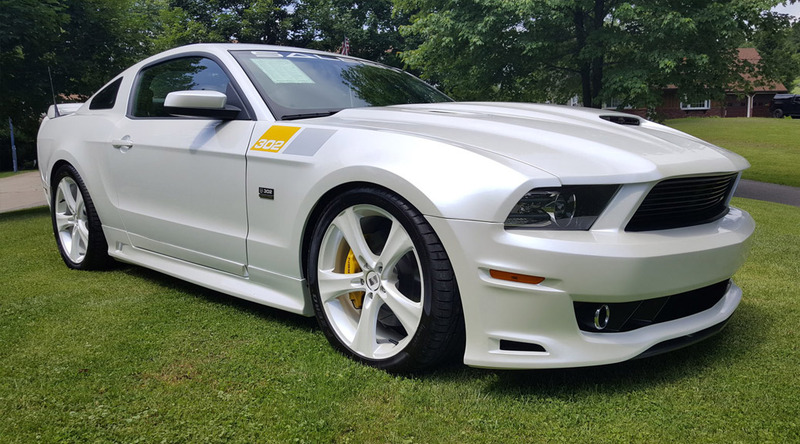 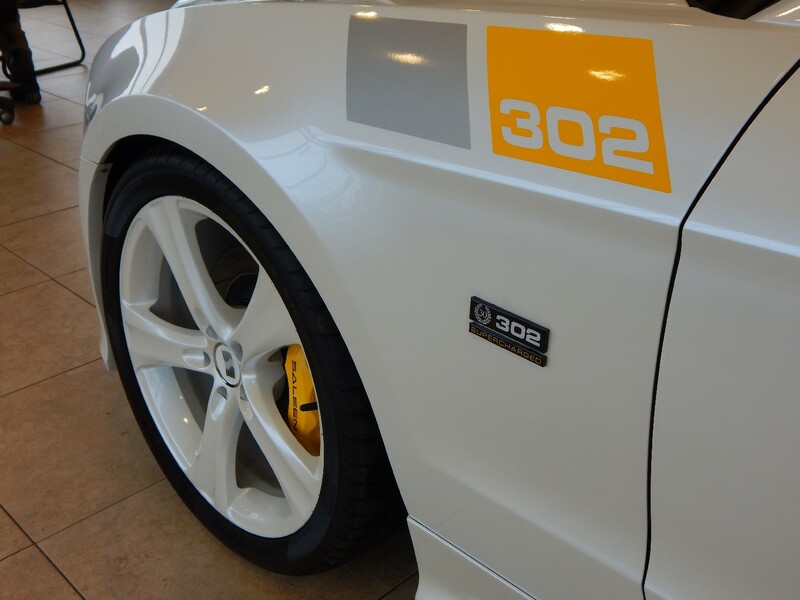 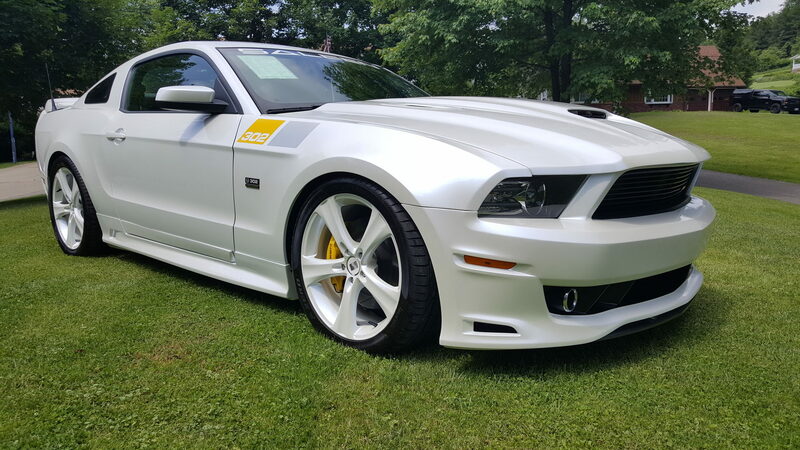 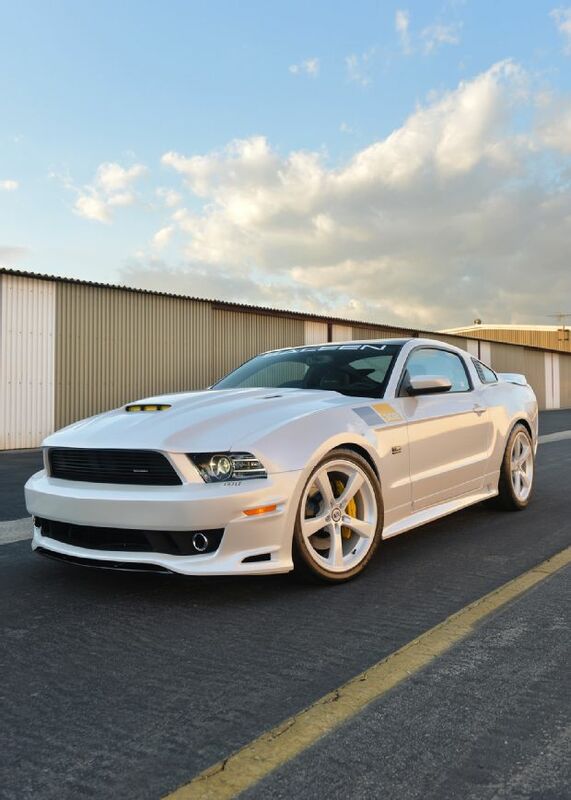 The Saleen Anniversary 30 (SA-30) offered custom Tire Smoke White Pearl exterior paint, color match wheels, custom yellow-silver-white exterior graphics and unique charcoal/white two-tone interior appointments. 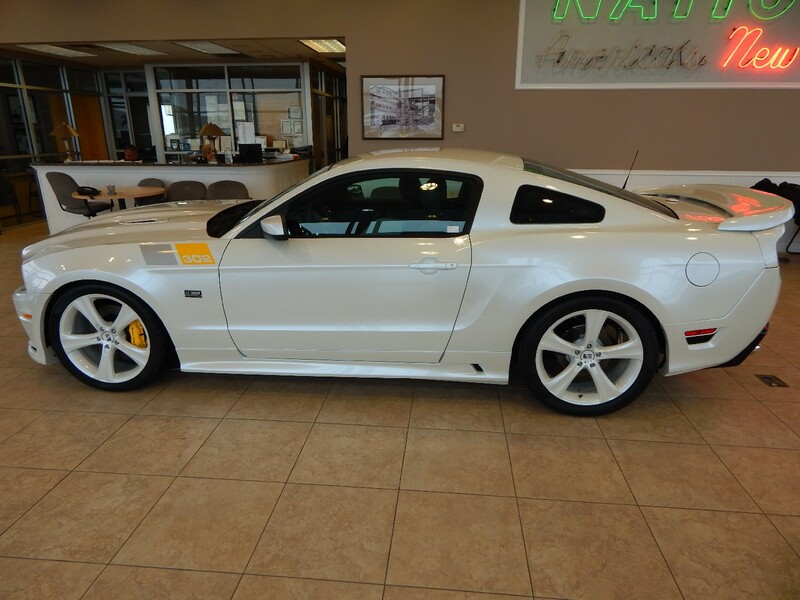 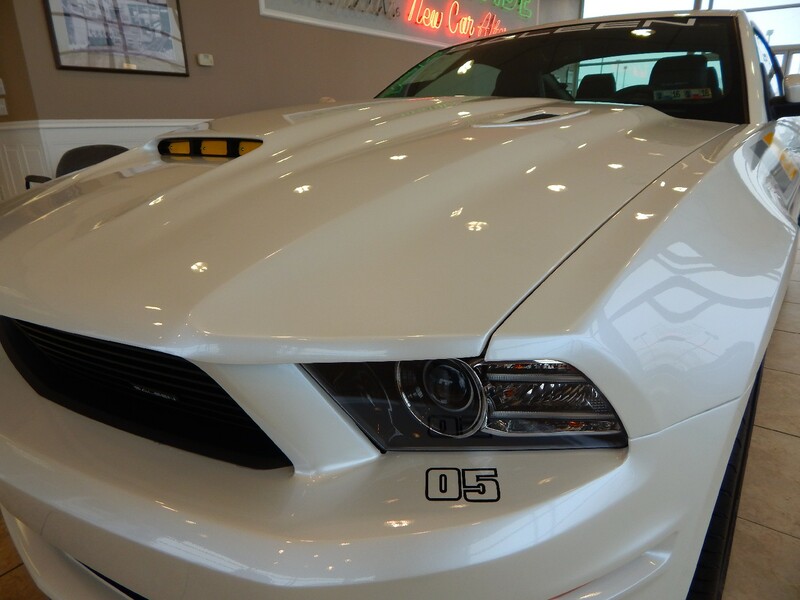 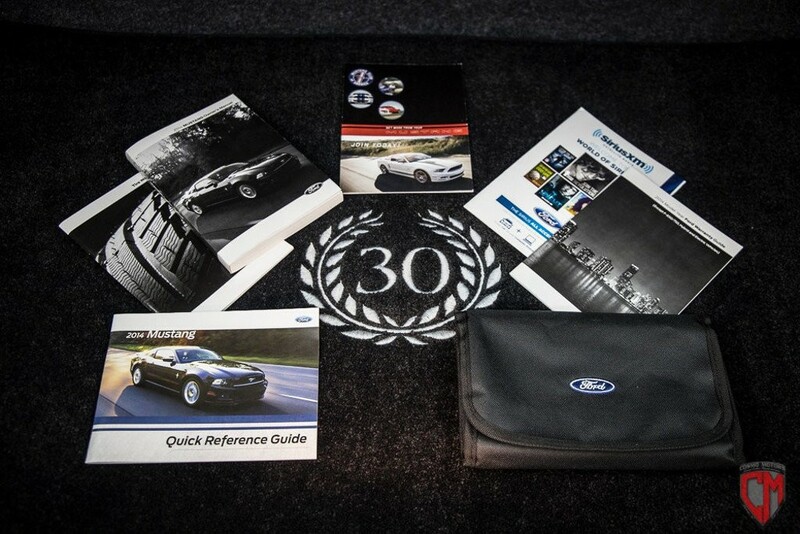 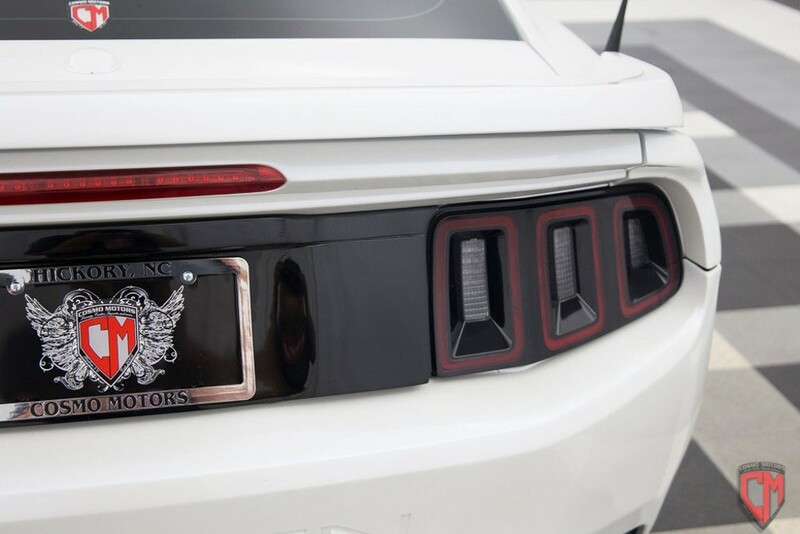 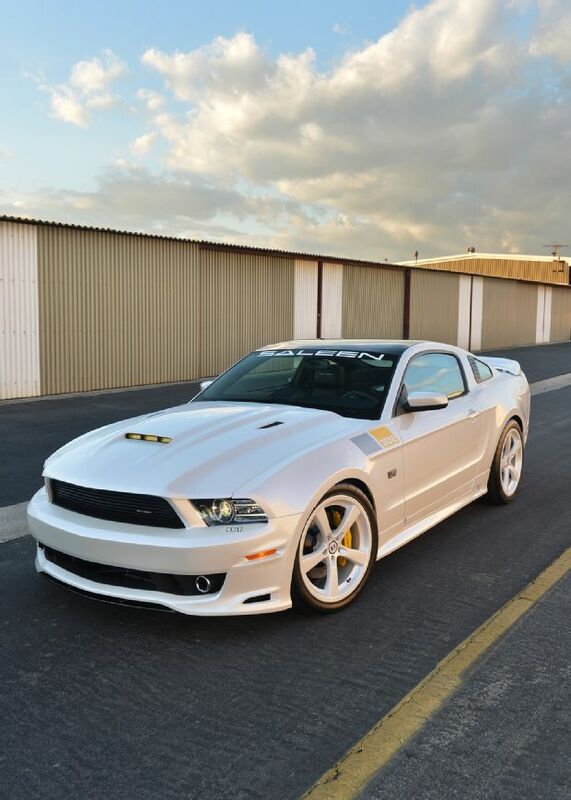 These commemorative editions were fashioned with Saleen Black Label series exterior and performance enhancements. 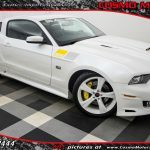 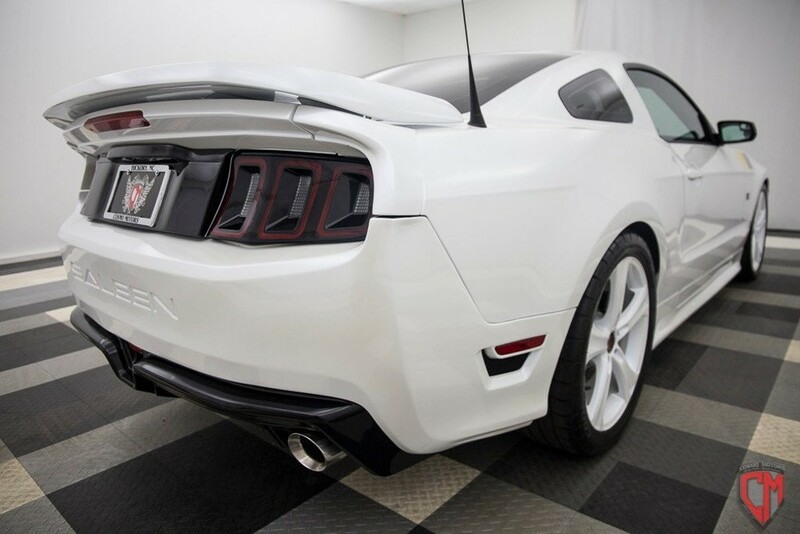 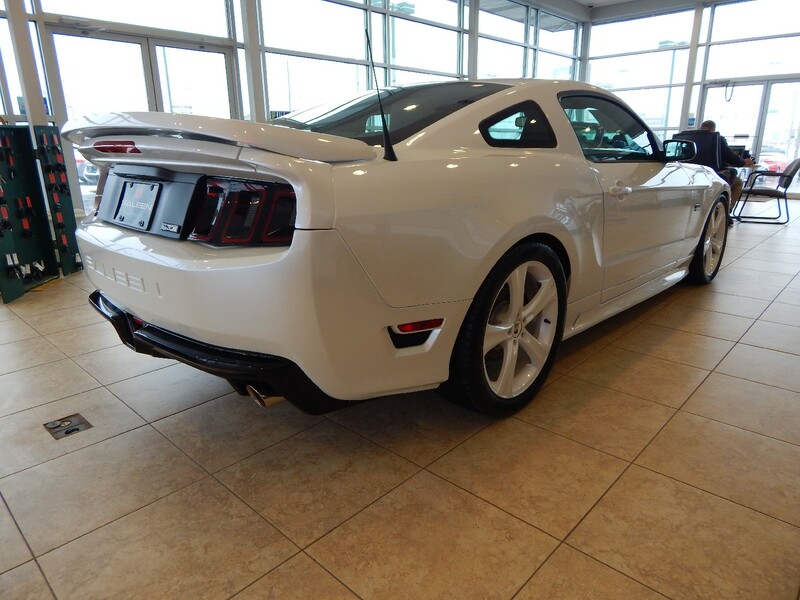 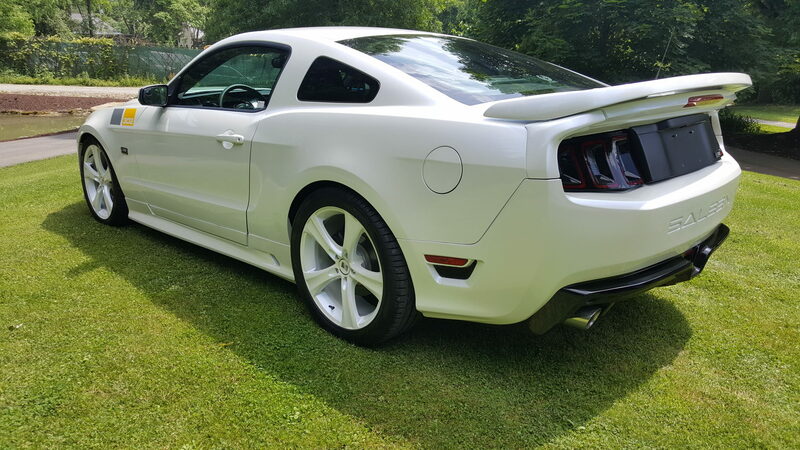 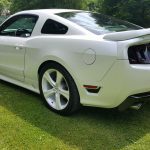 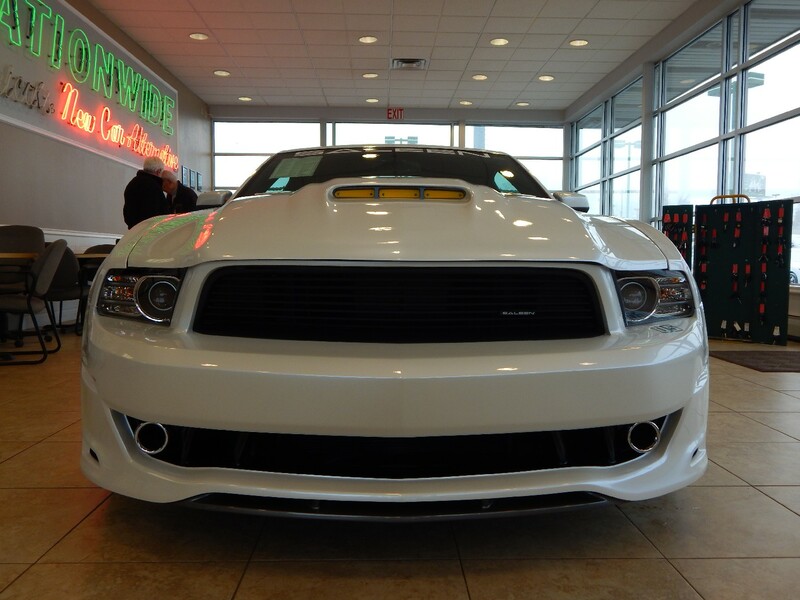 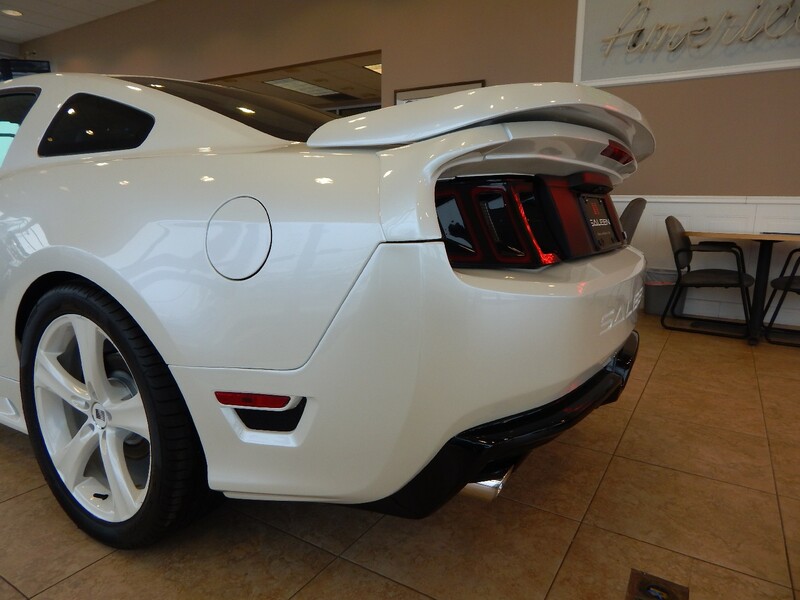 Our feature car is 302 Mustang 14-005SA and originally delivered to Ken Pollock Performance Auto in Wilkes-Barre Pennsylvania. 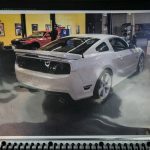 Number 005 started life as a redirected Race Red GT Premium that was destined to become a George Follmer Heritage Edition. 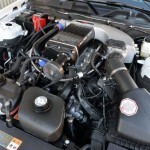 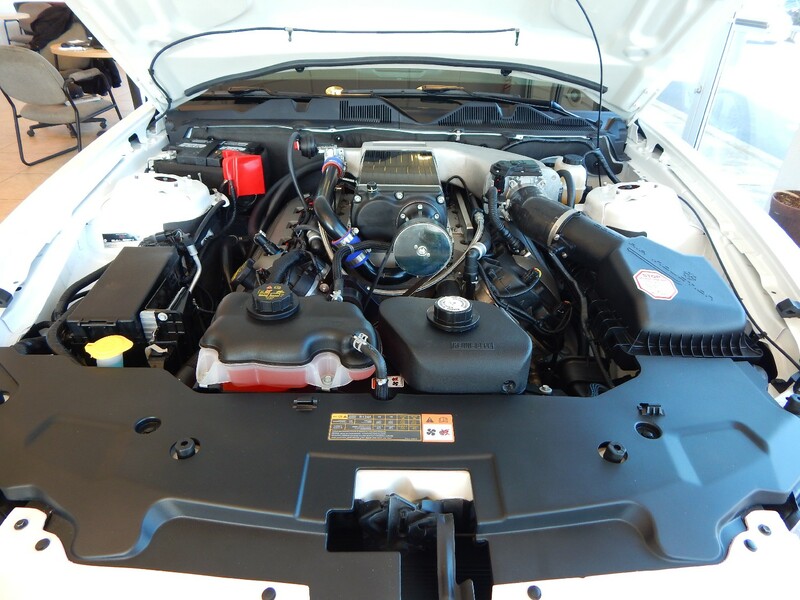 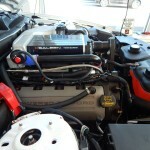 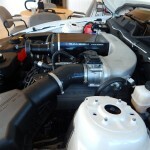 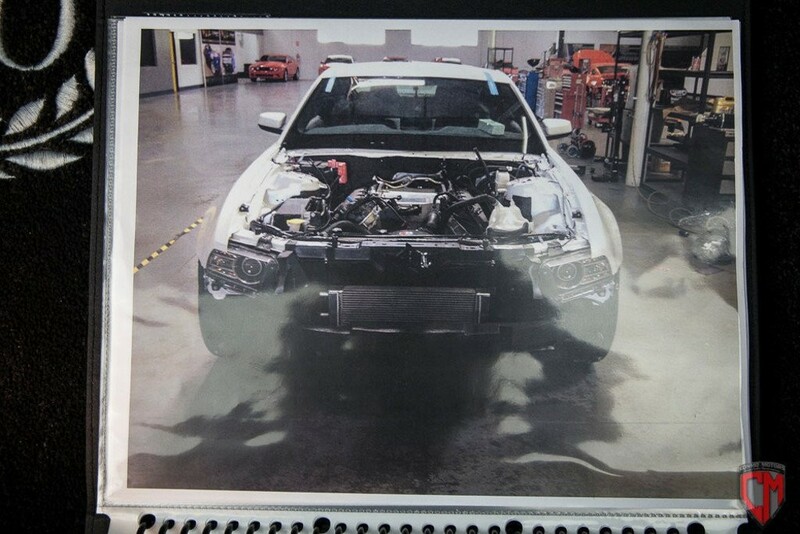 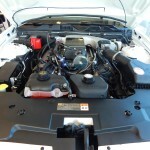 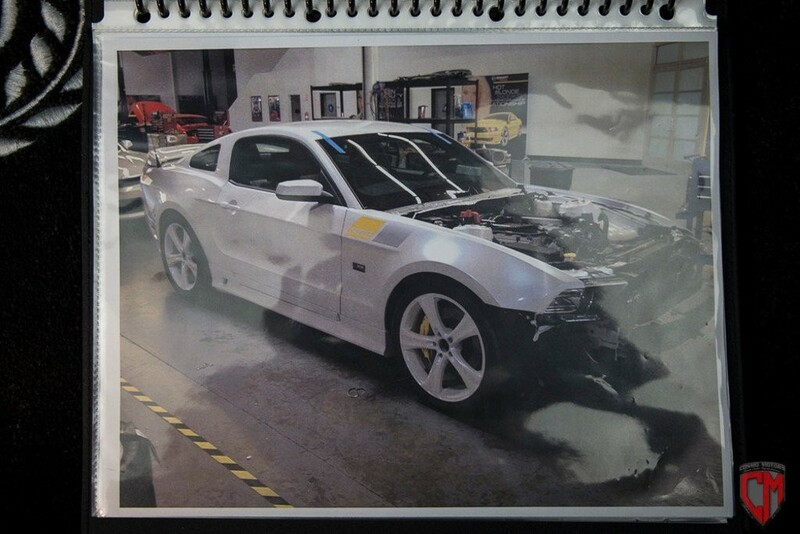 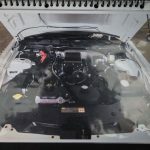 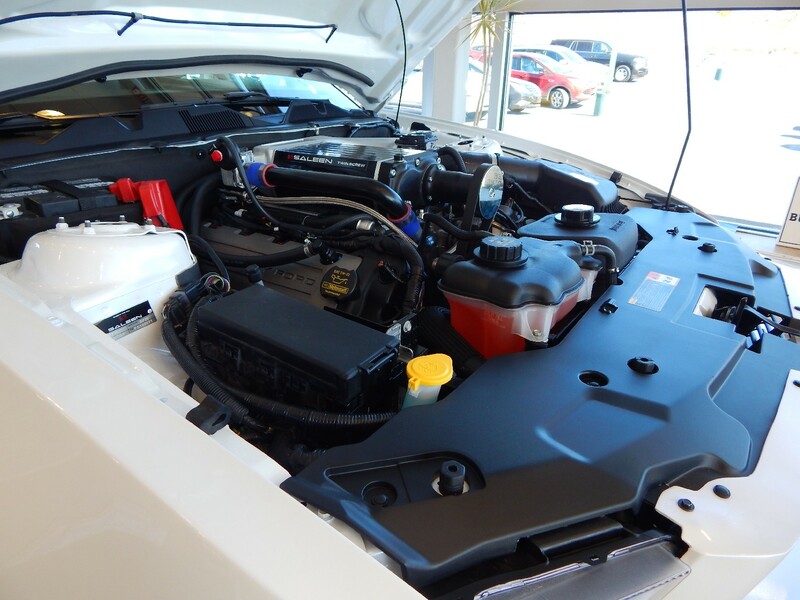 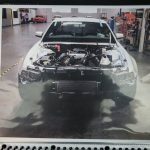 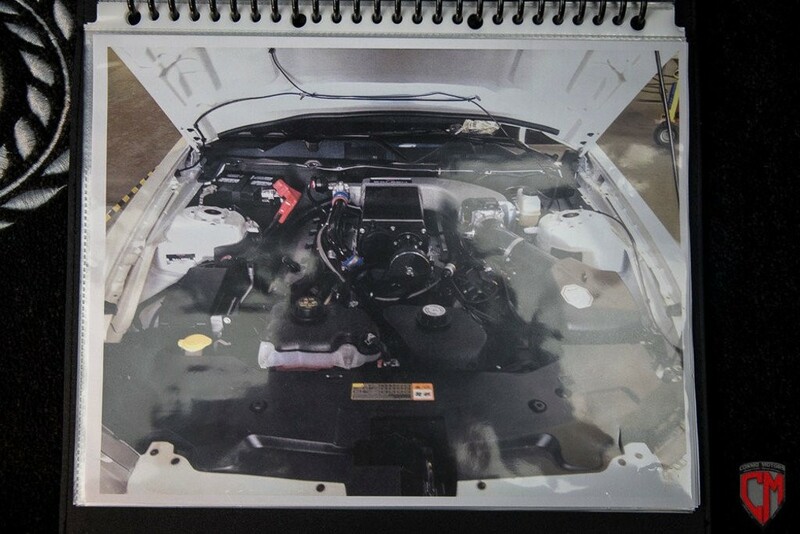 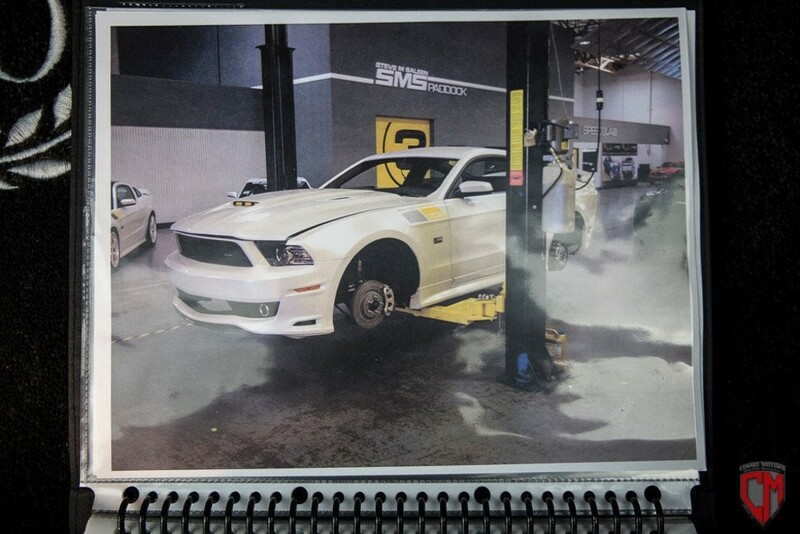 Because of this, it is one of few SA-30 Mustangs to receive a color matching Tire Smoke White Pearl engine compartment. 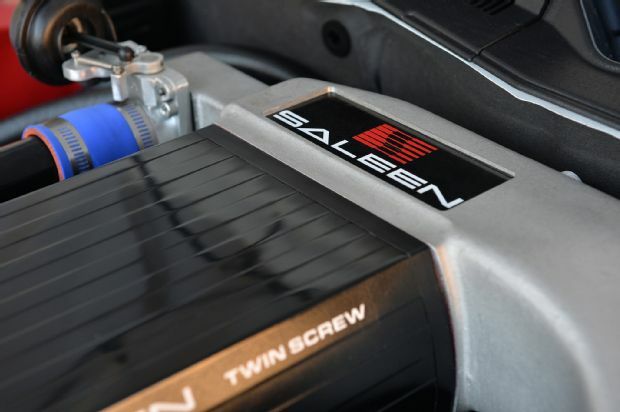 Most SA-30 editions were produced using factory black painted donor vehicles and retained their original black hue engine bay. 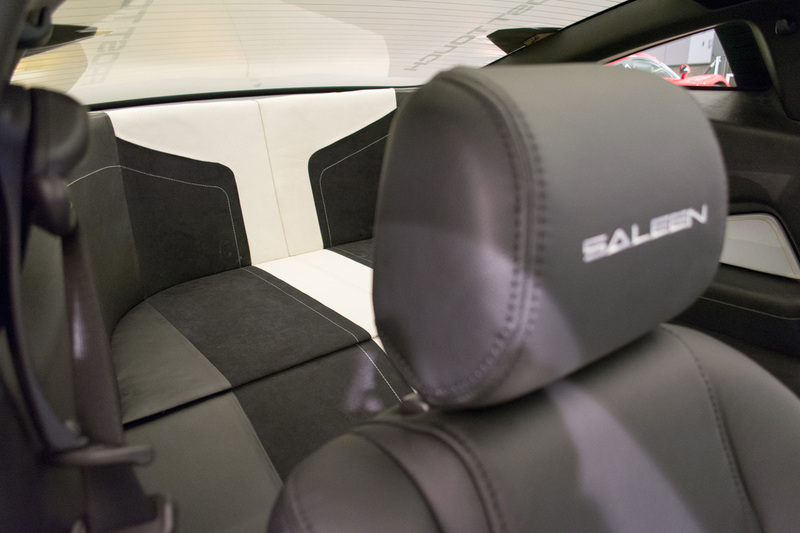 MONTEBELLO, Calif., February 7, 2014 – Global automotive leather leader Katzkin expands its performance vehicle acumen with leading edge interior design patterns created for Saleen’s 30th anniversary vehicles, on display at the Chicago Auto Show, February 8-17, in McCormick Place. 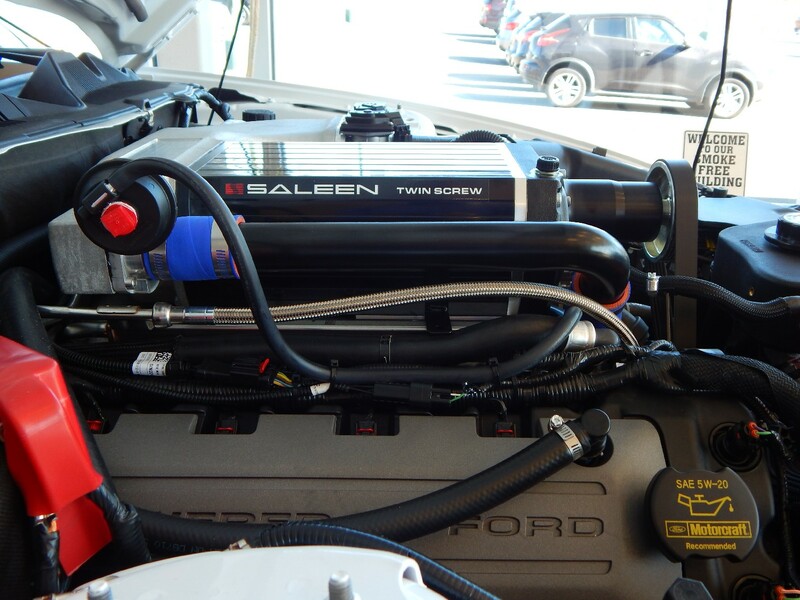 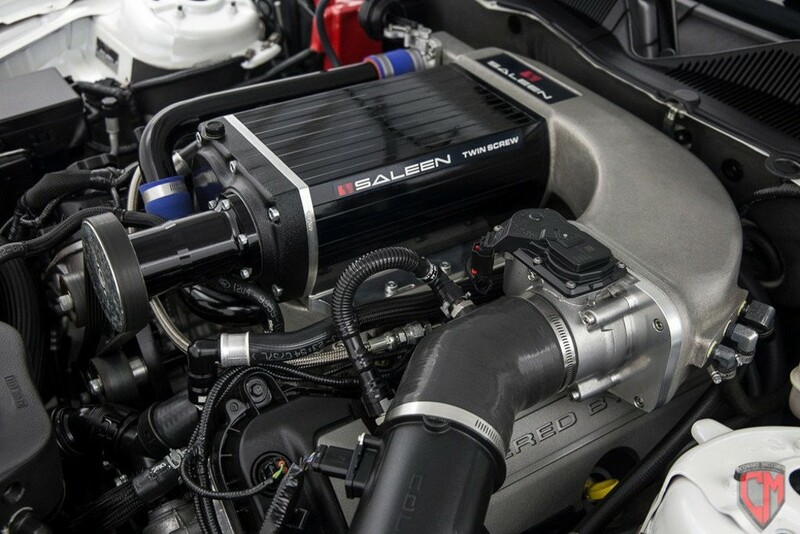 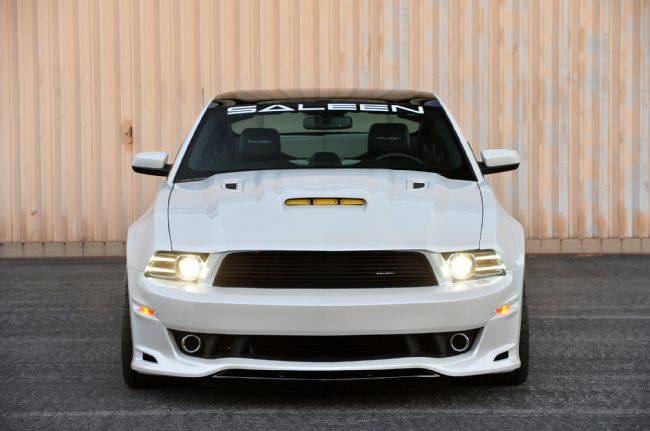 Katzkin and legendary high performance manufacturing trailblazer Saleen are both celebrating 30 years in the business and their partnership reflects a strong desire to remain authentic and true to the modern day enthusiast market. 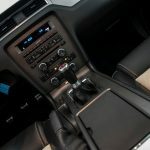 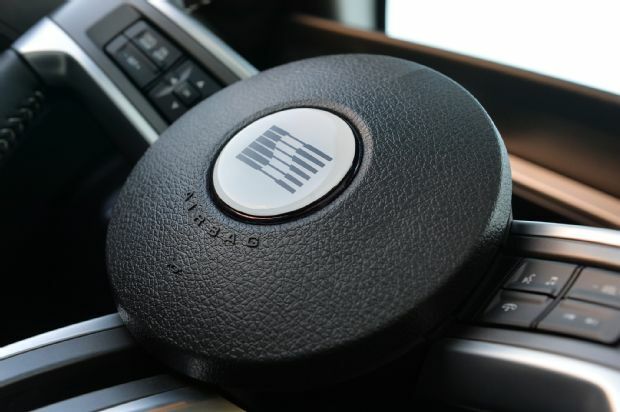 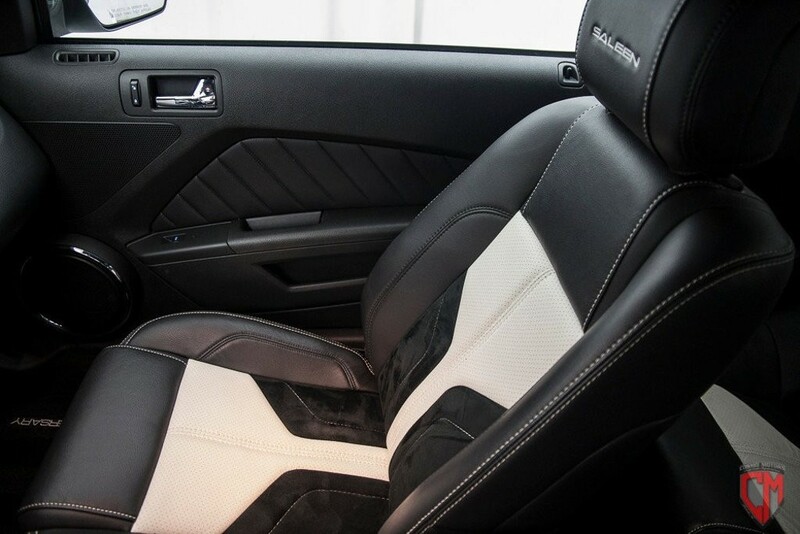 By blending the ultimate in American muscle with the global leader in automotive interior transformation, automotive enthusiasts not only have a chance to admire a great product, but can sit inside and feel the type of affordable luxury that can be created within their own performance vehicle. 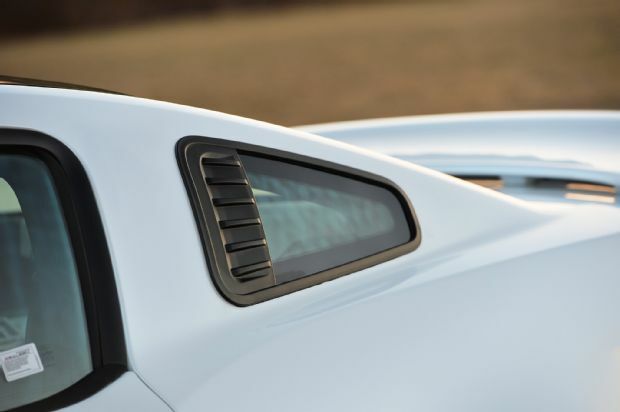 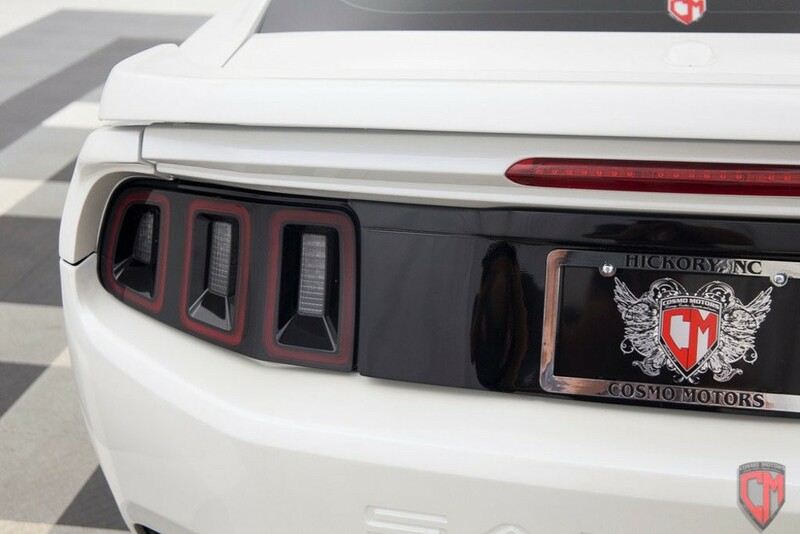 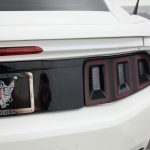 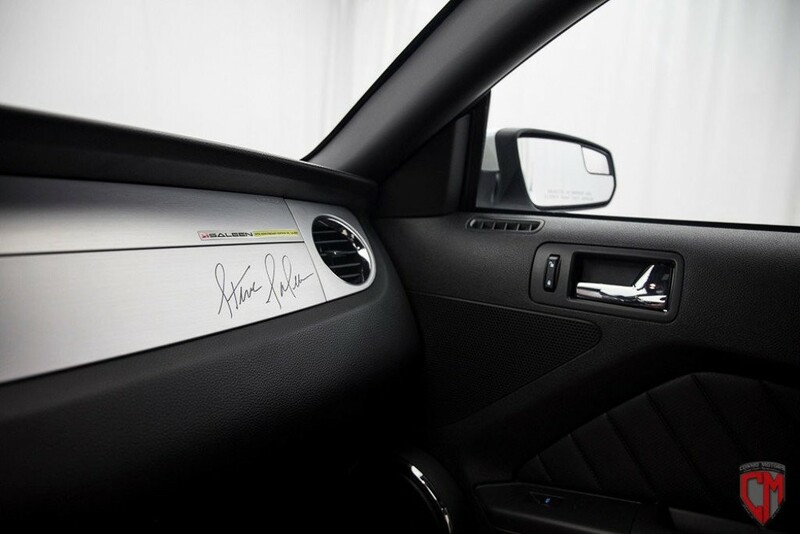 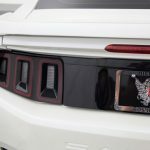 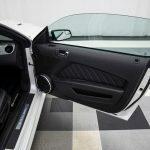 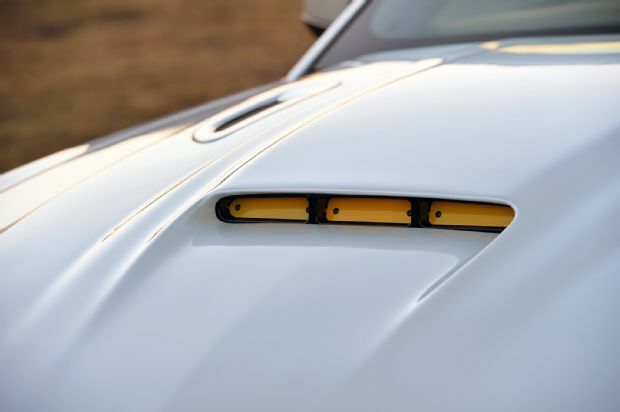 Both the Saleen SA-30 (30th Anniversary) 620 Camaro and 570 Challenger, complete with Katzkin designed “snowball black and white” interiors, will be on display at Saleen’s booth depicting a bold statement in performance and personalization. 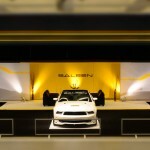 Chicago is the second in a series of road shows in which Katzkin and Saleen will be partnered, and presents an opportunity for the leather leader to bring its own high quality design, materials and execution to one of the most well-known high performance niche coach builders in the country. 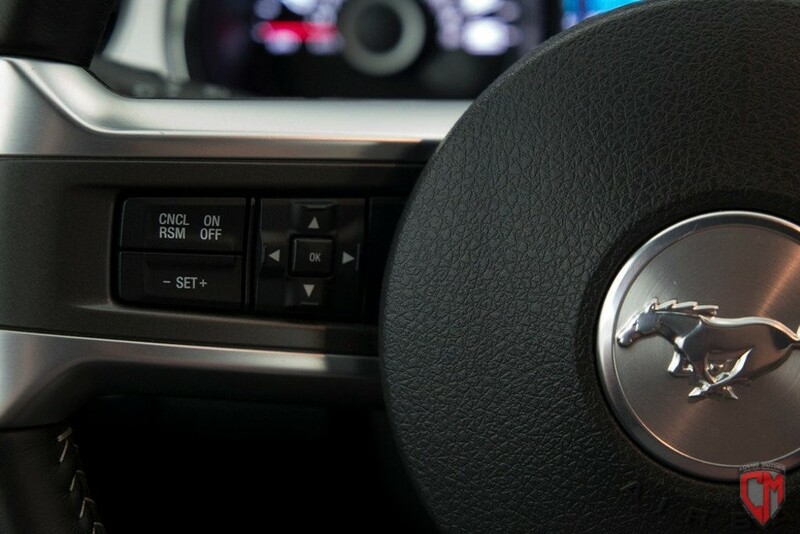 Together, both brands deliver on the promise of unique personalization. 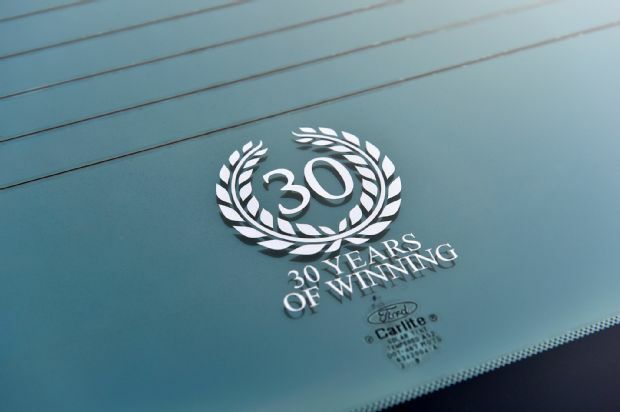 With the addition of Dave O’Connell, chief designer for Katzkin (who came on board in 2010), Katzkin has engaged design as both a core value and a supporting pillar to the company’s world-class marketing strengths. 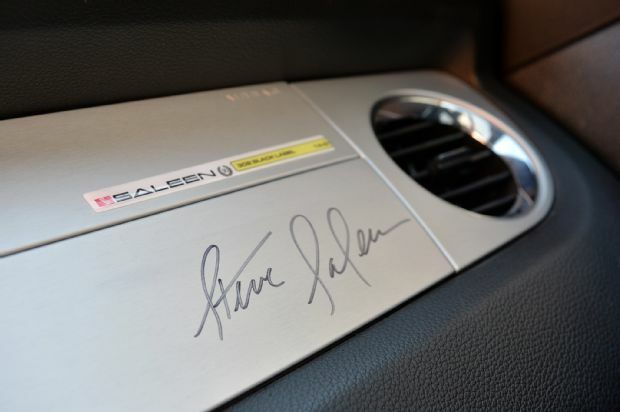 The collaboration with Saleen first began through a personal relationship O’Connell and Steve Saleen shared through their involvement at Art Center College of Design in Pasadena, Calif., where O’Connell is an alumnus and has been an instructor since 2001. 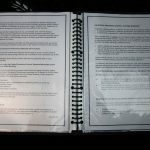 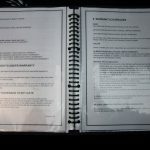 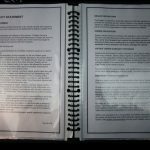 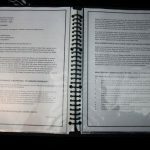 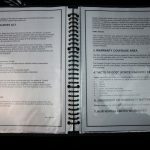 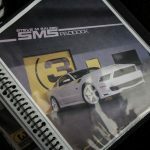 While working on a recent project together at the school, a level of trust and professionalism became a catalyst to create the concept designs. 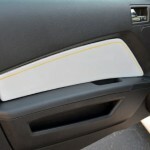 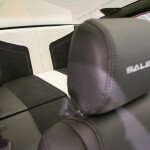 “Innovative design stems from passion — a value both Katzkin and Saleen can share,” said O’Connell. 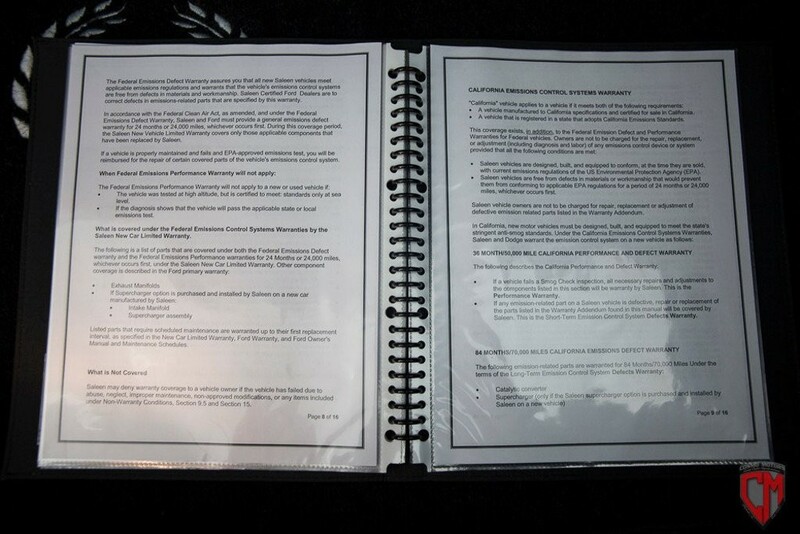 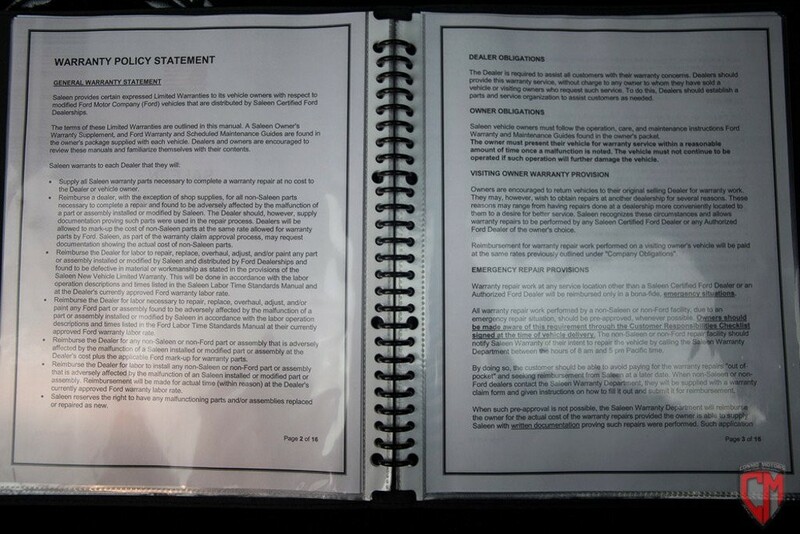 “And our own company culture has embraced design as a way of doing business,” he continued. 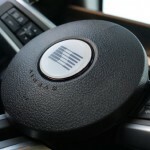 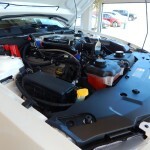 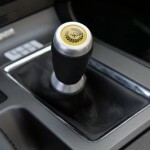 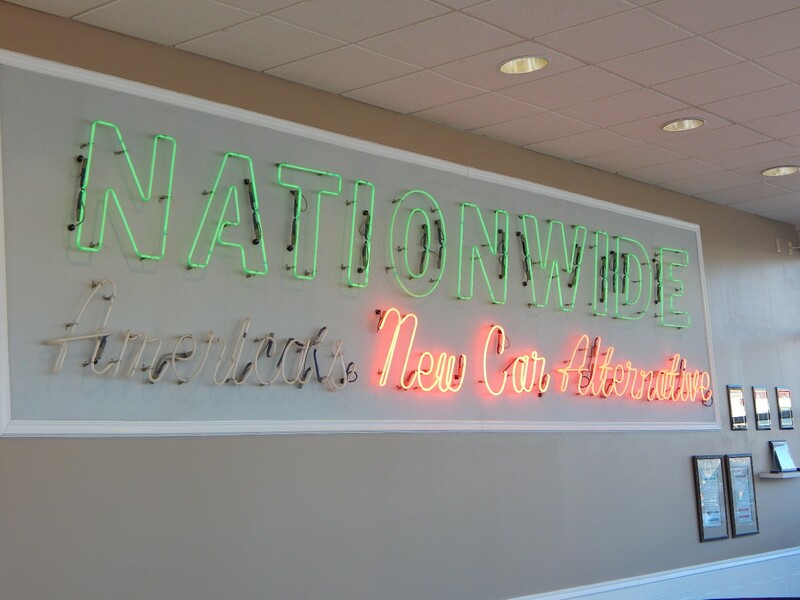 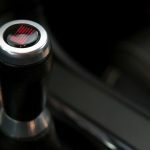 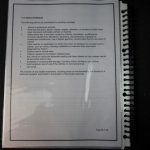 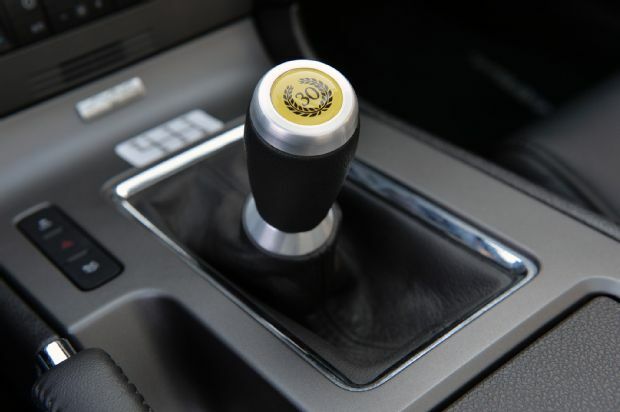 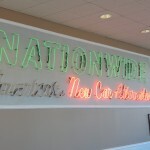 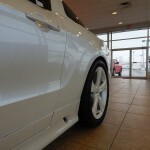 “The first step is not only to understand the vehicle, but more so, the buyer. 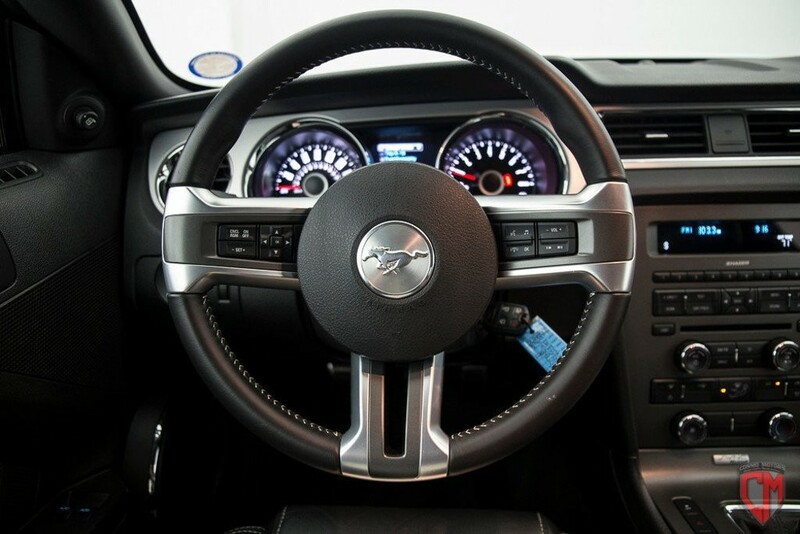 That way we can merge super-high quality, state-of-the-art manufacturing and a customization process to collectively provide customers affordable luxury opportunities that are not only exciting, but express the personality of both the vehicle and its owner.” Consumers can discover these interiors for their own vehicles at www.katzkin.com . 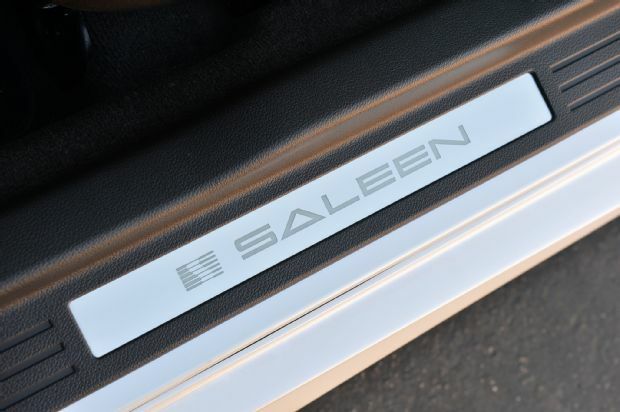 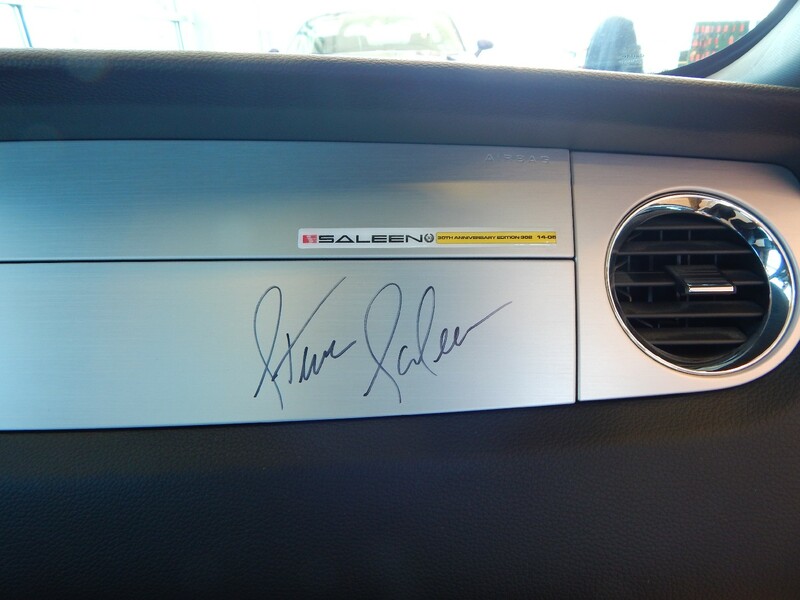 The Katzkin interiors on each of Saleen’s 30th anniversary models were designed to match the 30 anniversary theme of each vehicle. 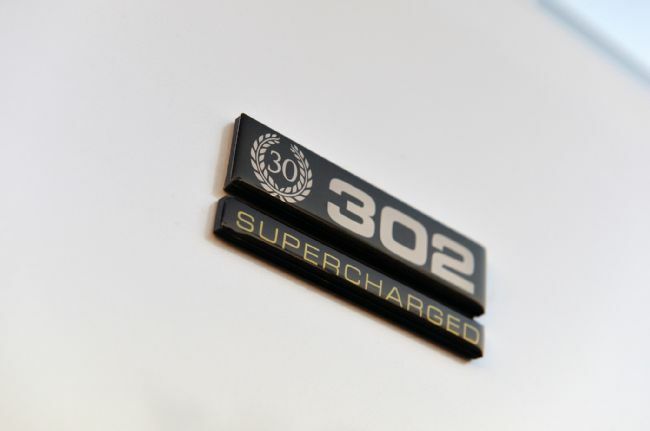 Only 10 each of the 302, 570 and 620 models will be produced, and the 302 has already sold-out, with very few remaining of the 570 and 620 limited production models. 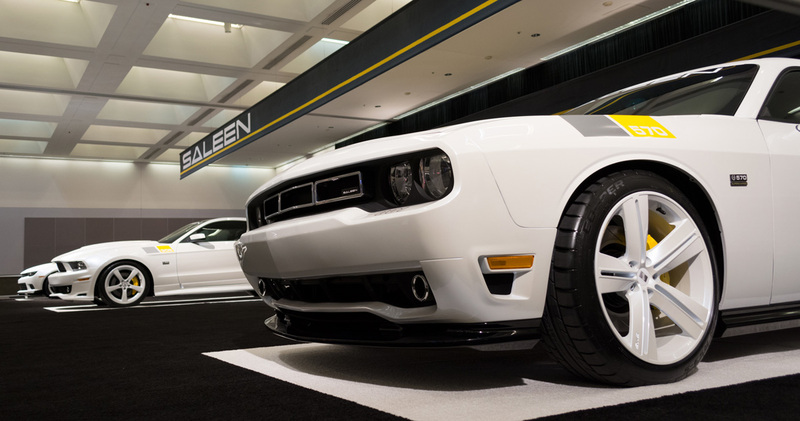 Consumers can view the 620 Camaro and 570 Challenger, along with several other specialty Saleen vehicles during the Chicago Show. 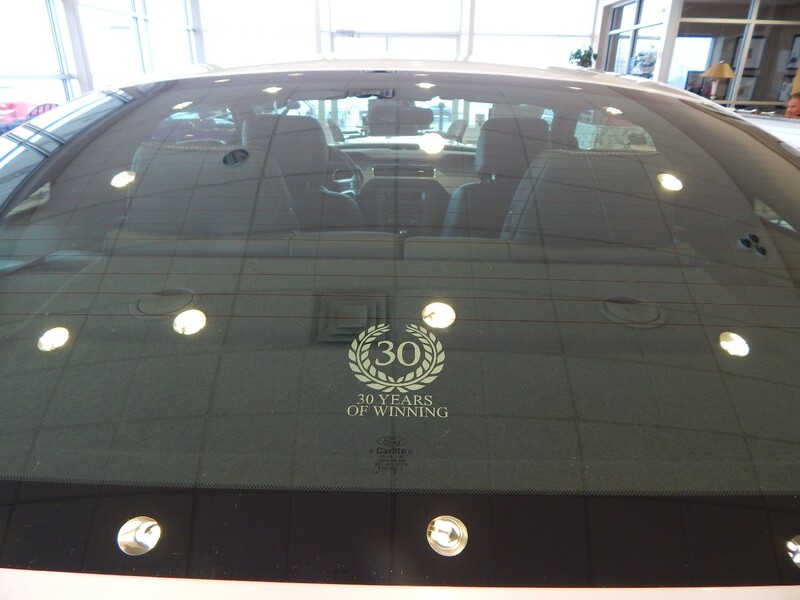 Manufactures a Few Powerful Anniversary Models. 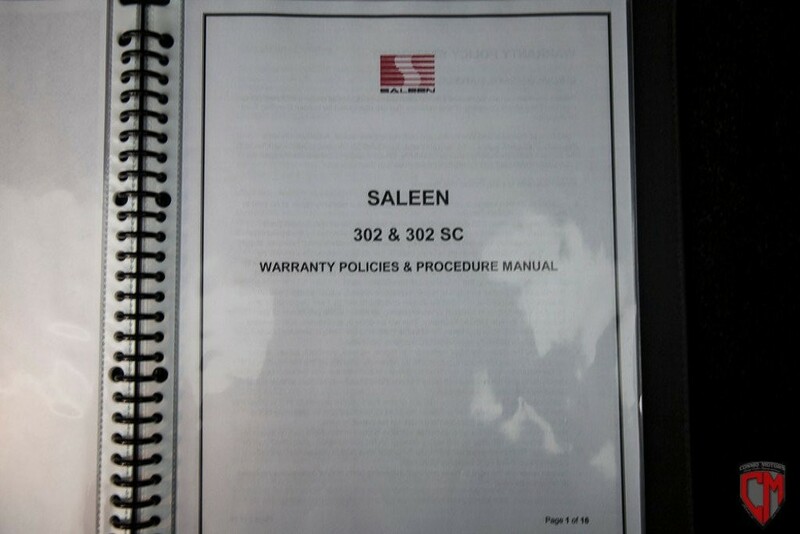 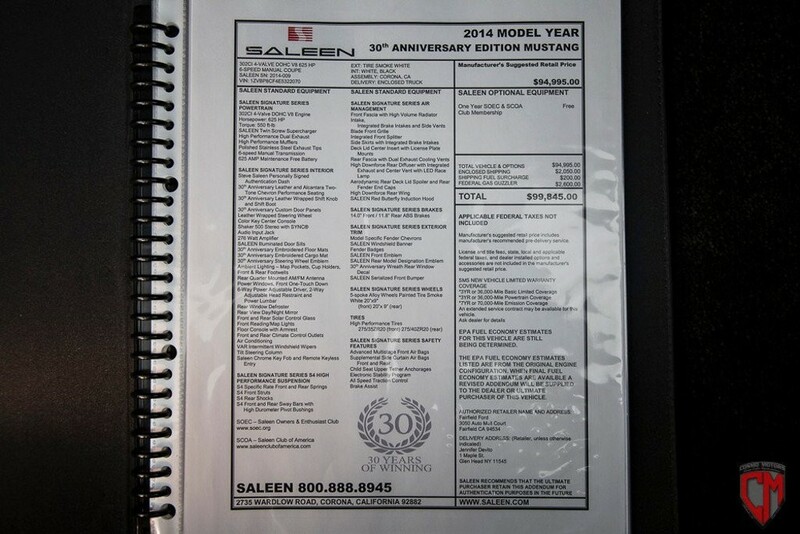 This year marks the 30th anniversary of Saleen as a specialty vehicle manufacturer. 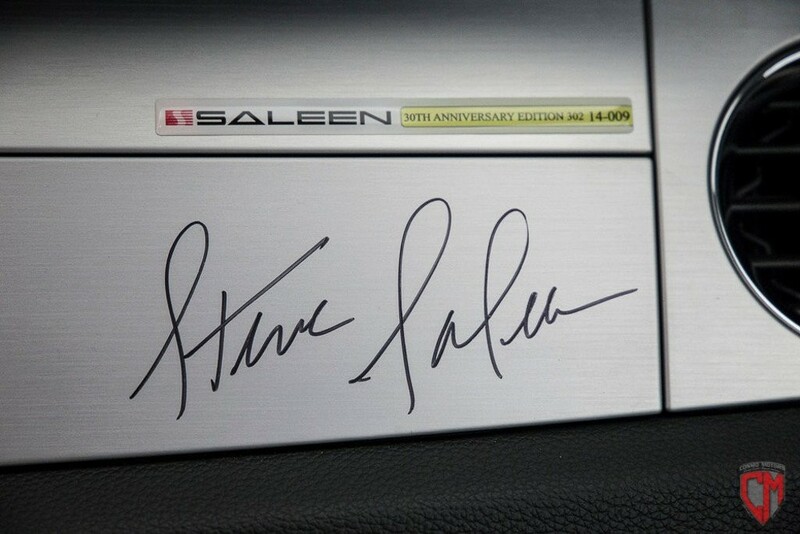 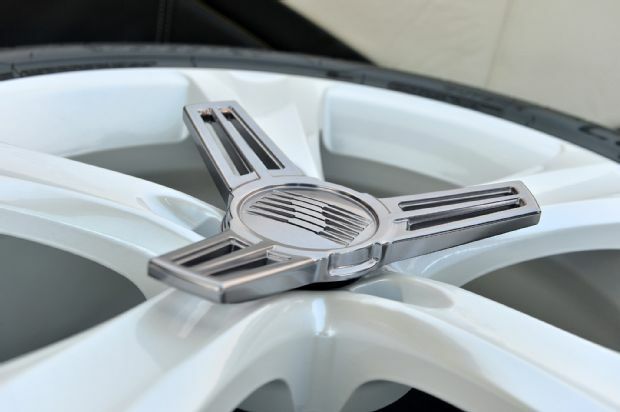 To commemorate the event, Saleen Automotive will be producing 3 variations of its SA-30 model. 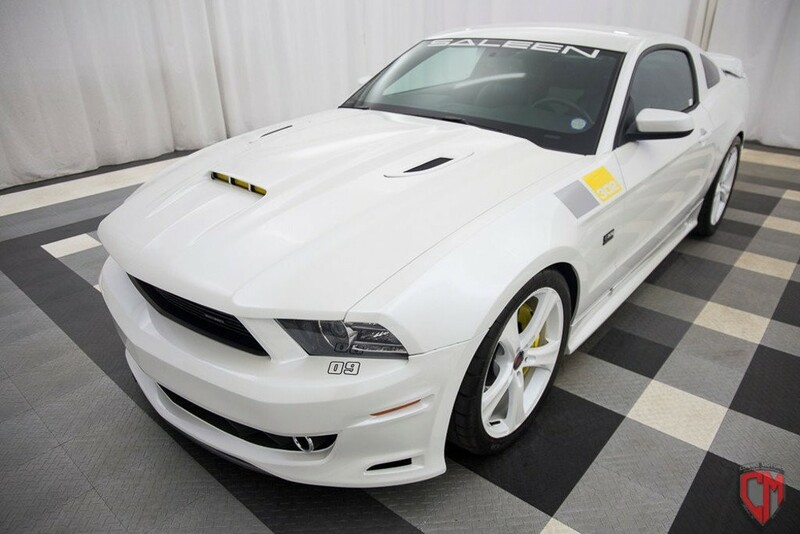 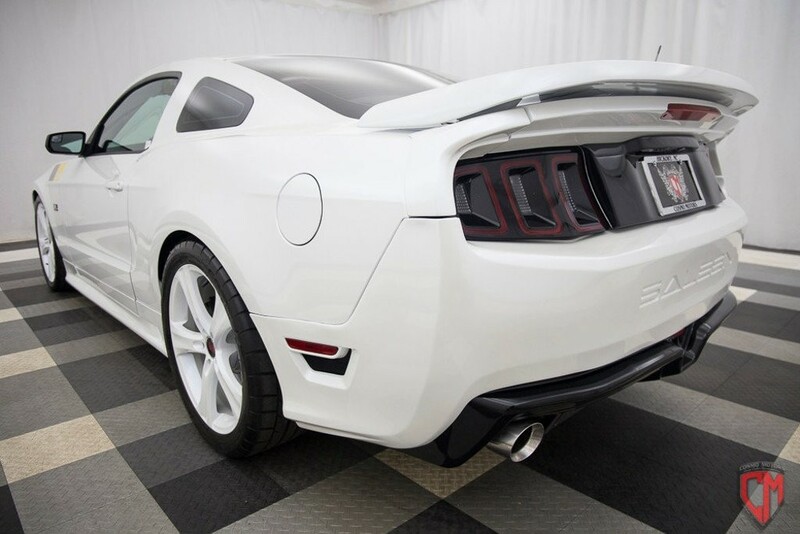 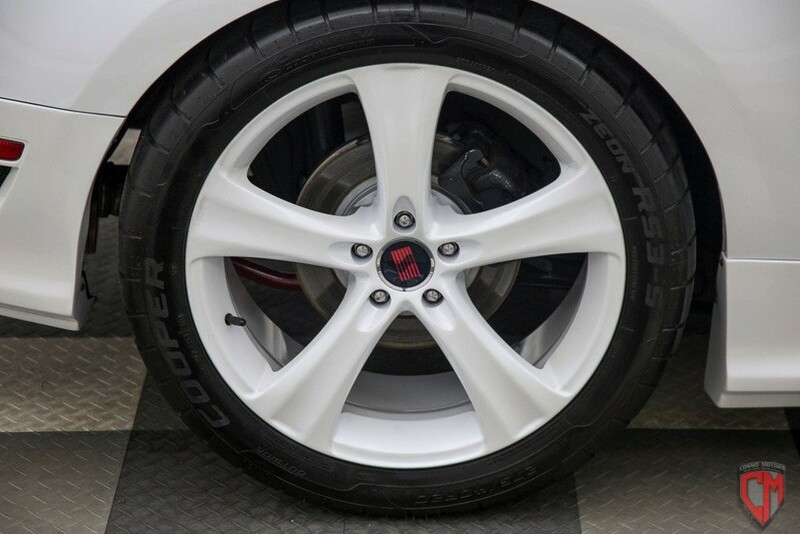 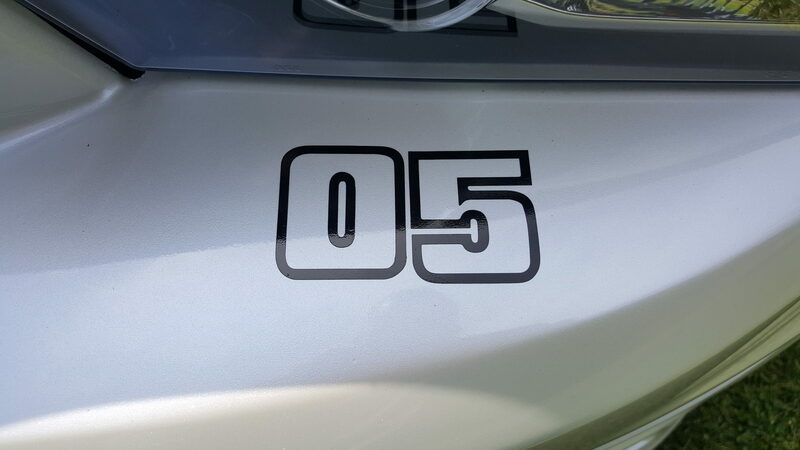 As the sixth edition in the SA series, the Saleen Anniversary series vehicles have become well known and coveted among collectors and enthusiasts for their exclusivity and extremely low production numbers. 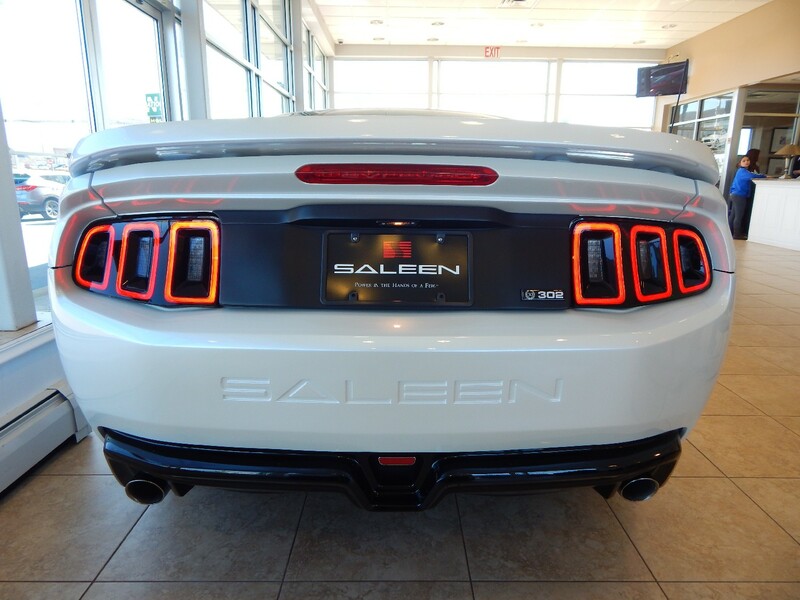 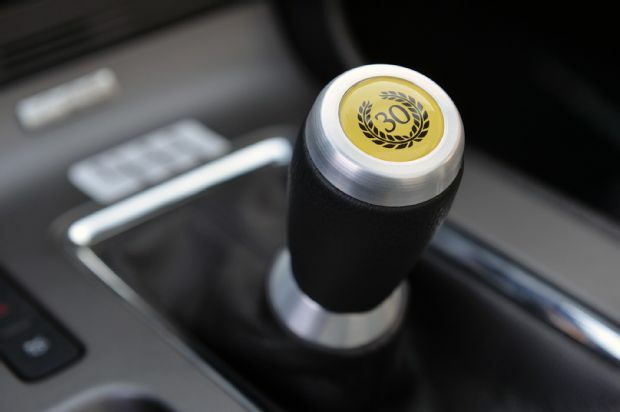 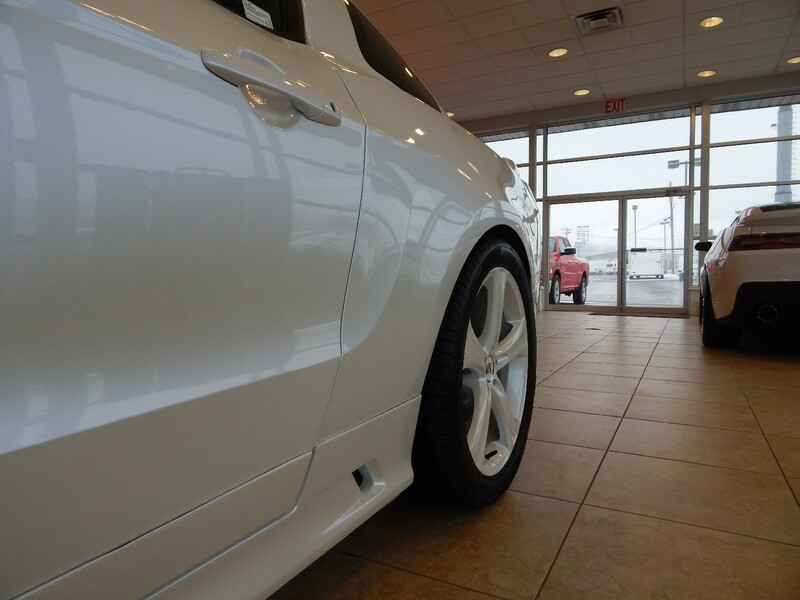 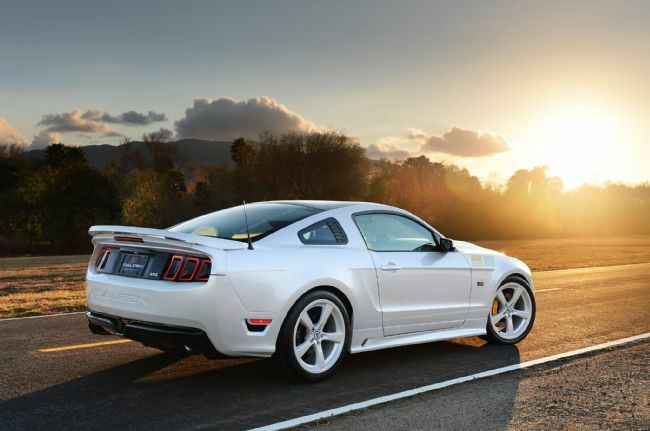 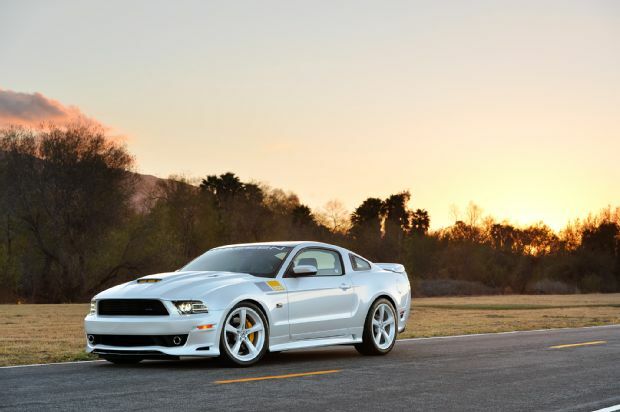 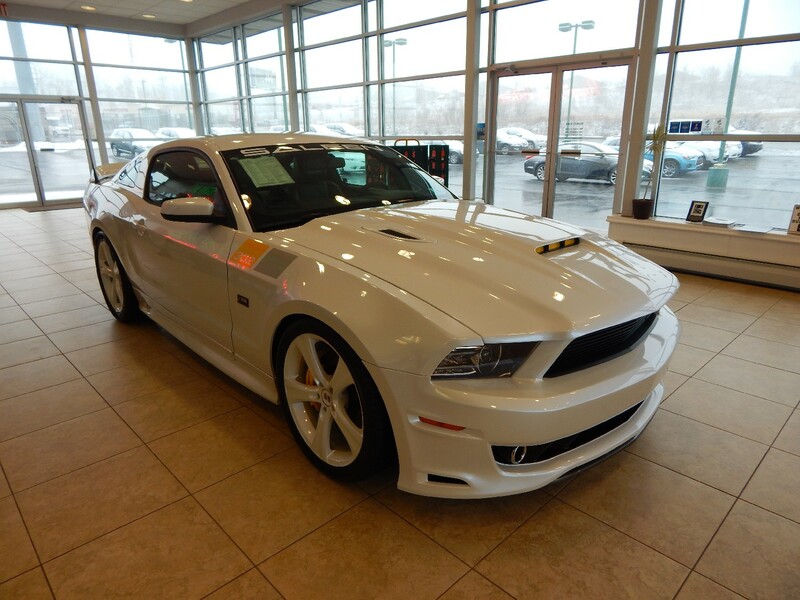 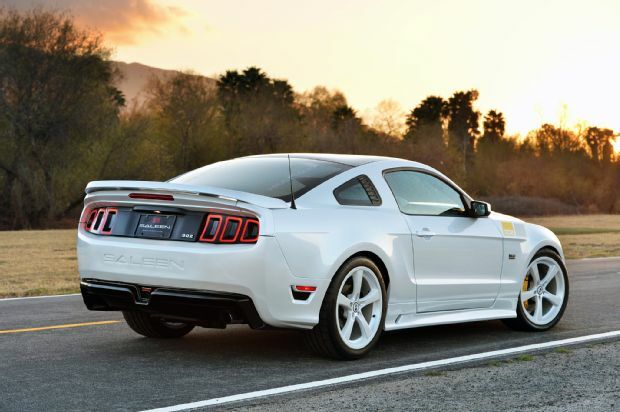 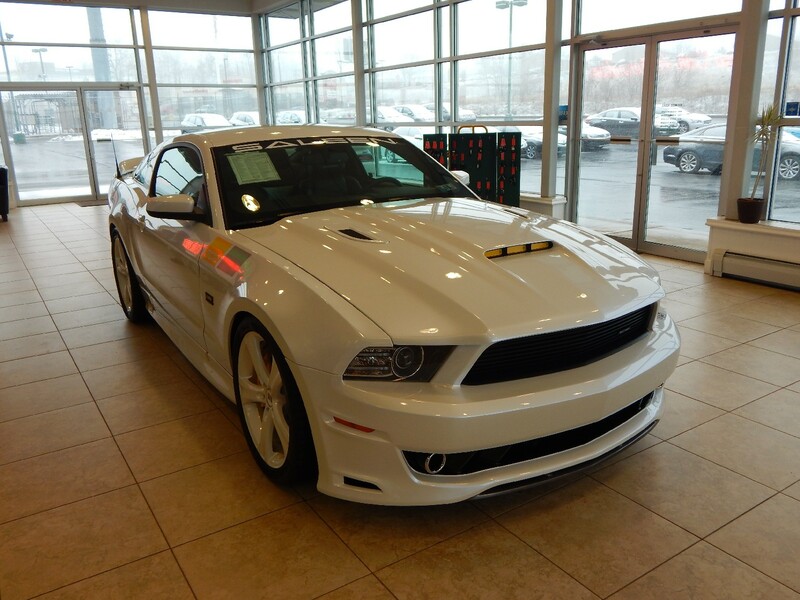 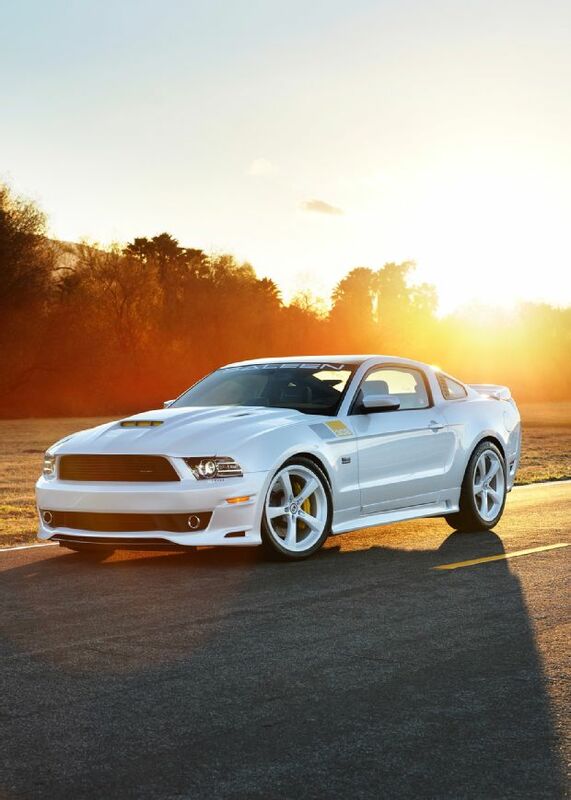 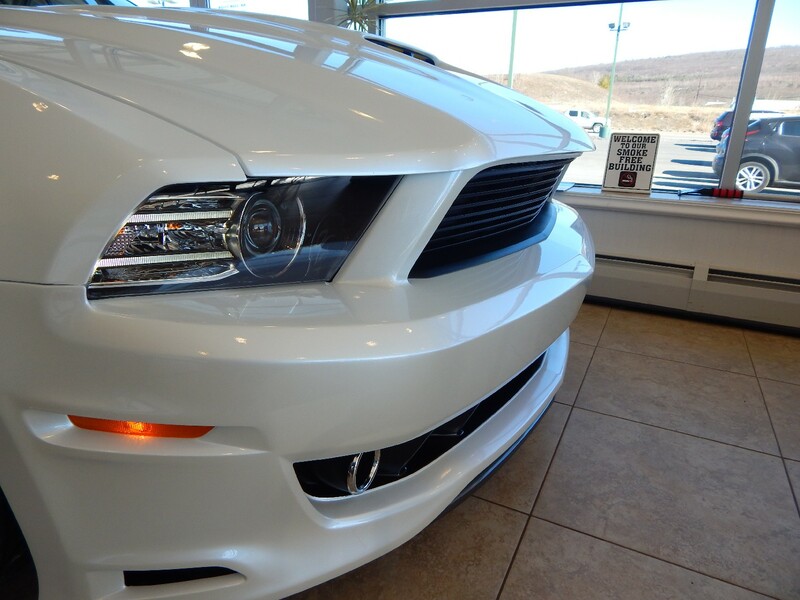 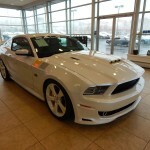 Each anniversary edition vehicle also traditionally boasts a balanced blend of Saleen legacy and future enhancements. 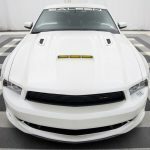 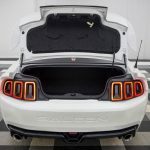 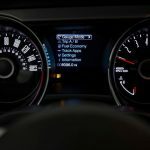 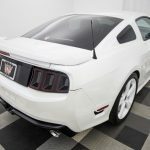 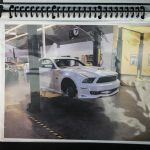 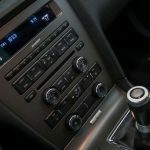 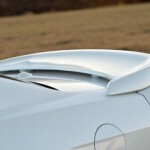 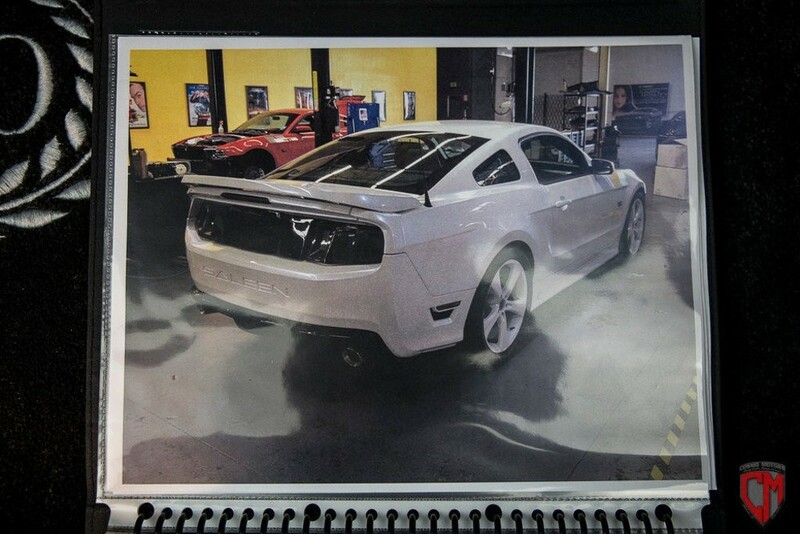 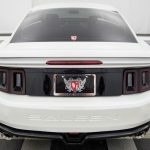 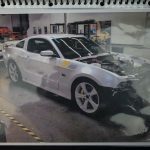 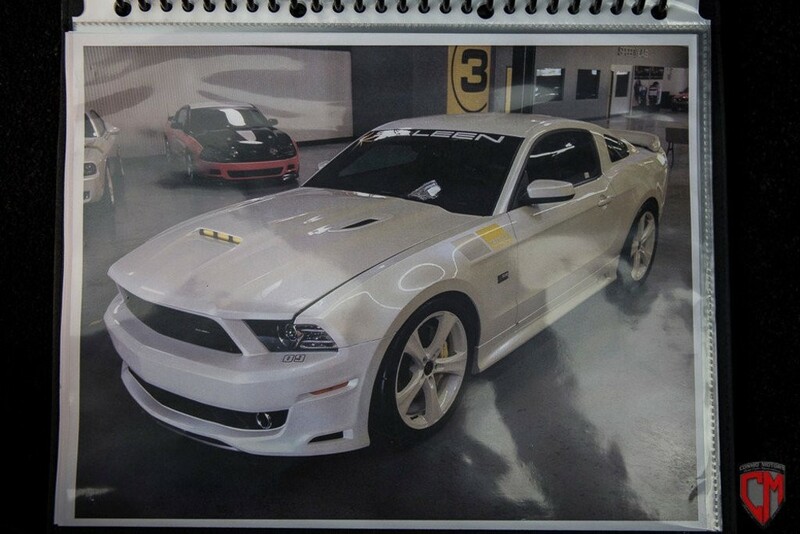 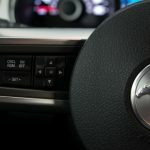 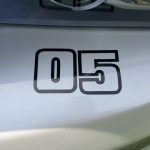 A total of thirty Saleen SA-30 vehicles will be produced, ten each of a Saleen 620 Camaro, 570 Challenger, and 302 Mustang. 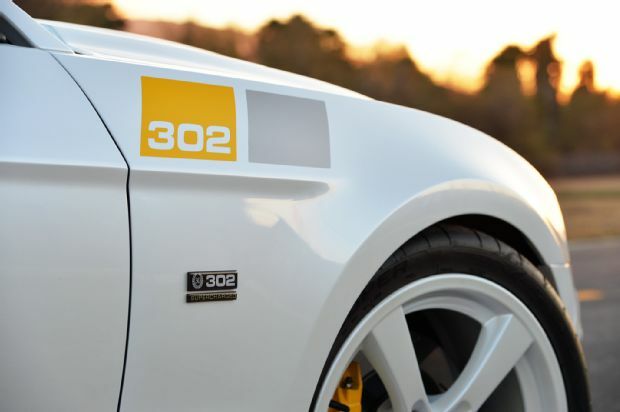 Although each Saleen model is based on a different platform, all Saleen SA-30 vehicles will share a common theme: Saleen Racing Heritage. 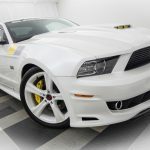 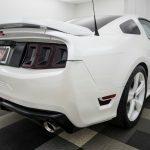 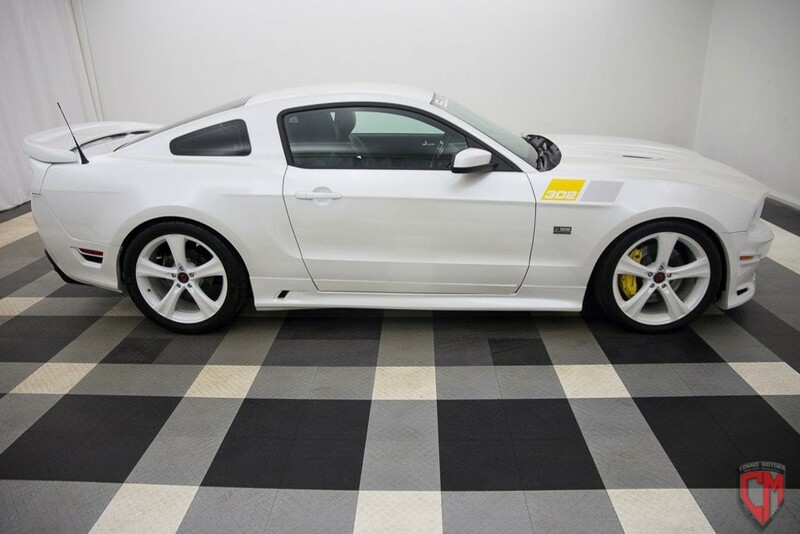 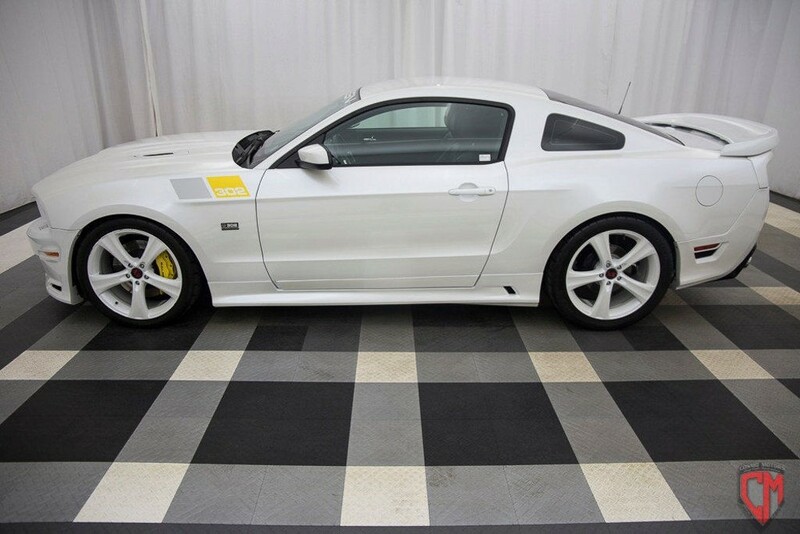 In years past, Saleen Anniversary editions have touted a distinct paint scheme that is deeply rooted in the motorsports livery from Saleen race vehicles. 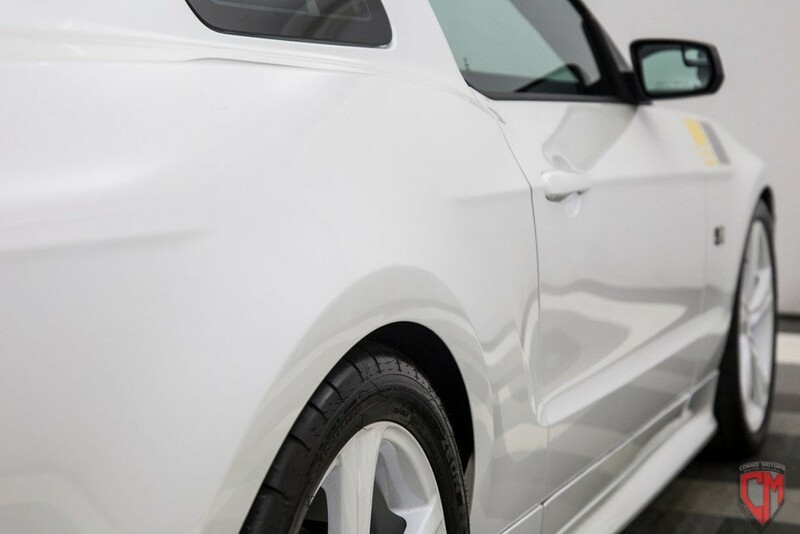 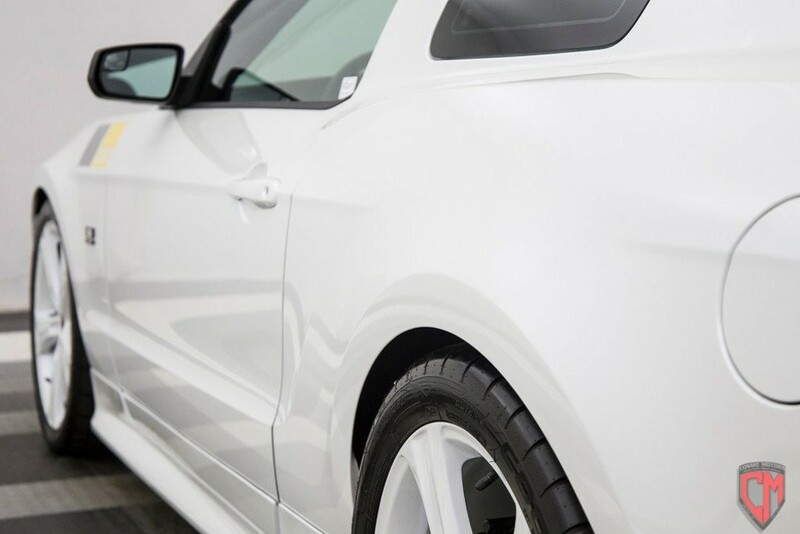 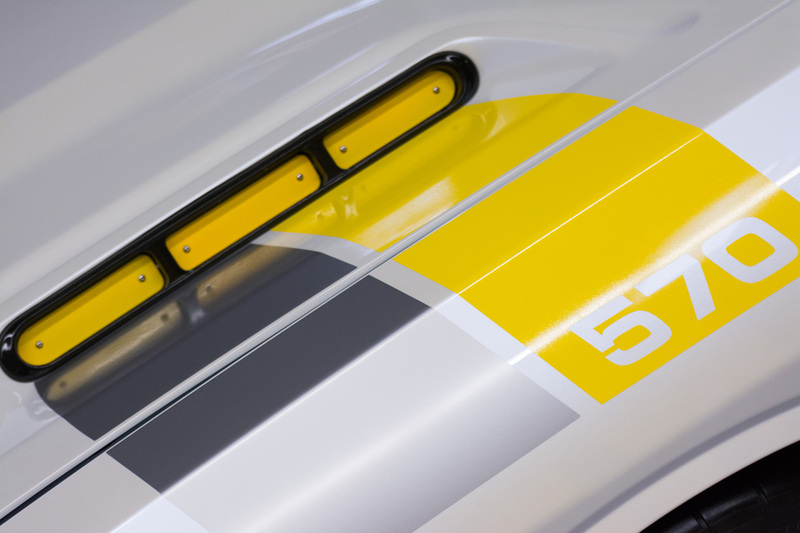 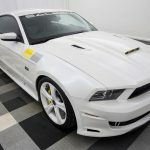 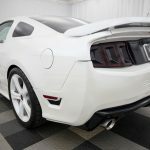 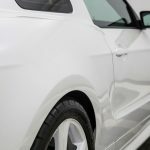 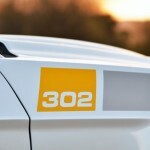 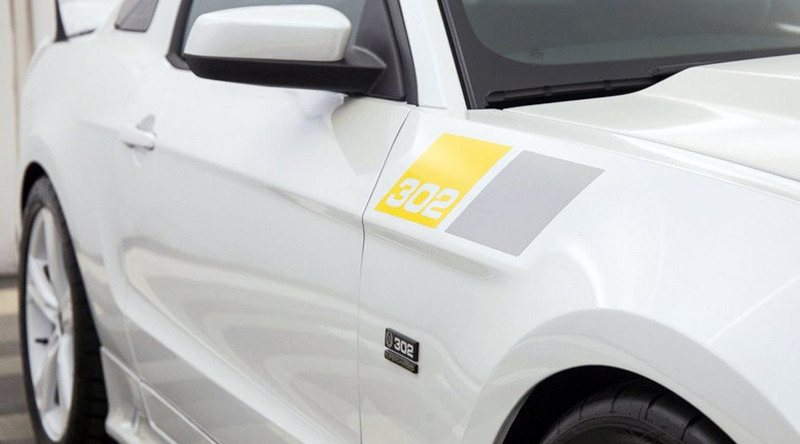 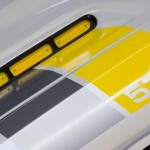 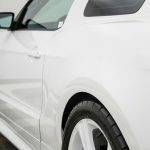 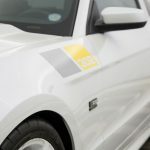 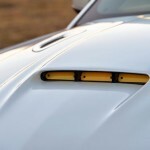 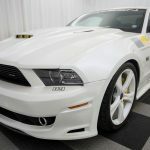 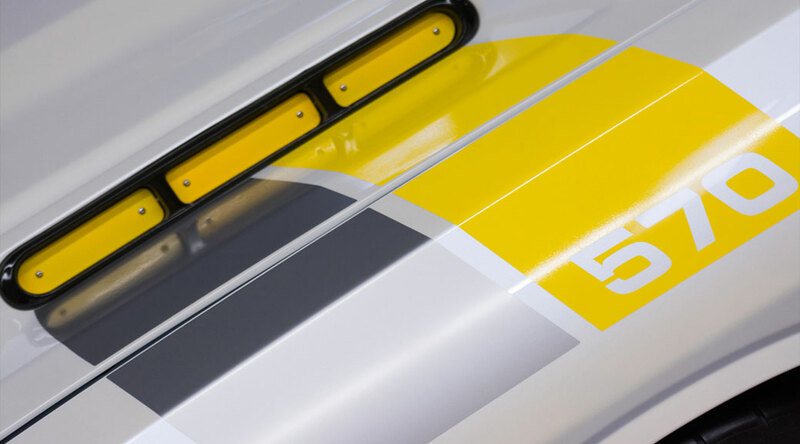 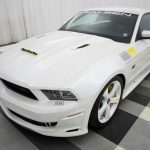 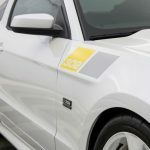 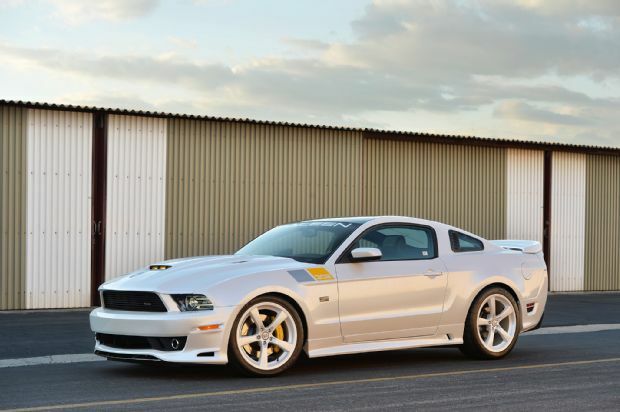 With thirty years marking the pearl anniversary, the SA-30 lineup will be available in a single theme consisting of a custom ‘Tire Smoke’ pearl white Saleen paint with Speedlab yellow and black painted components that all come together to provide a distinct paint design that is instantly recognizable as a Saleen product. 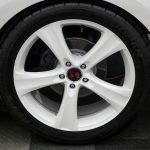 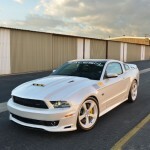 Additional color touches will be added in the form of color matched pearl white Saleen wheels. 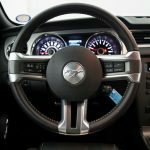 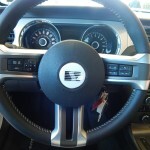 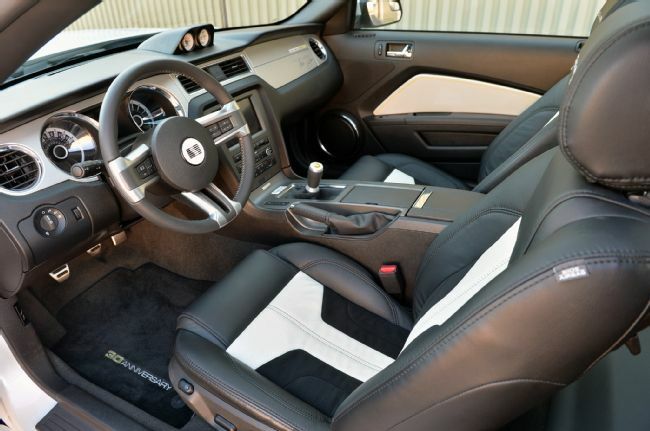 The interior treatment has been completely redesigned for the Saleen SA-30 vehicles. 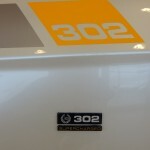 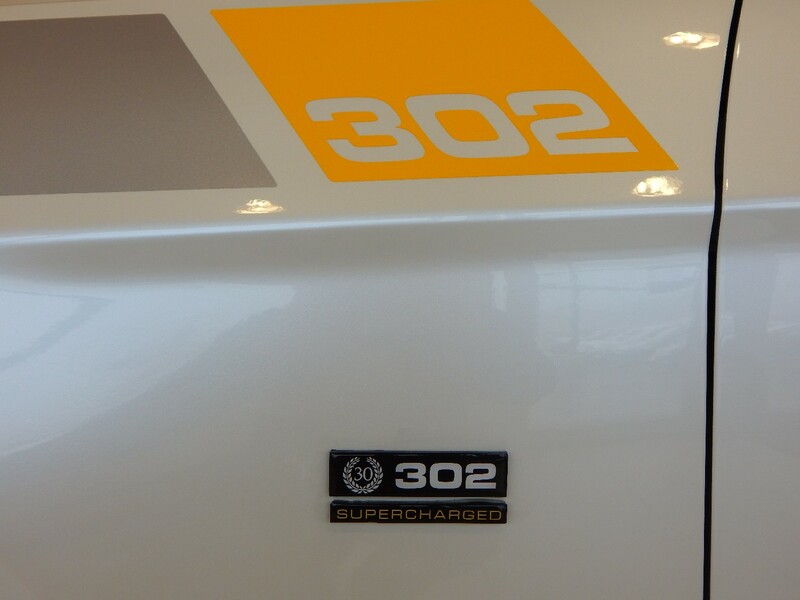 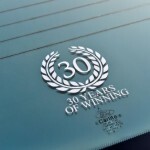 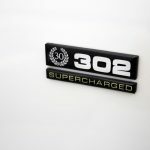 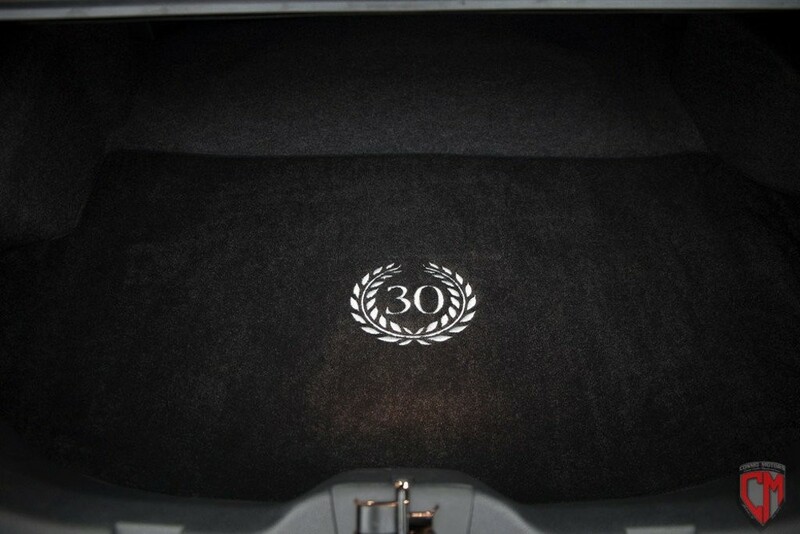 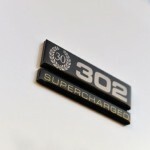 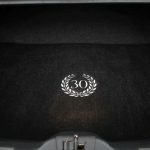 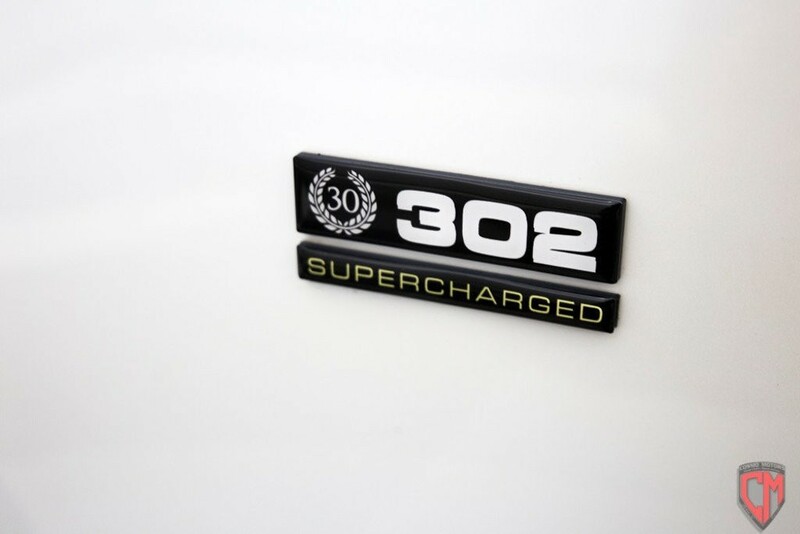 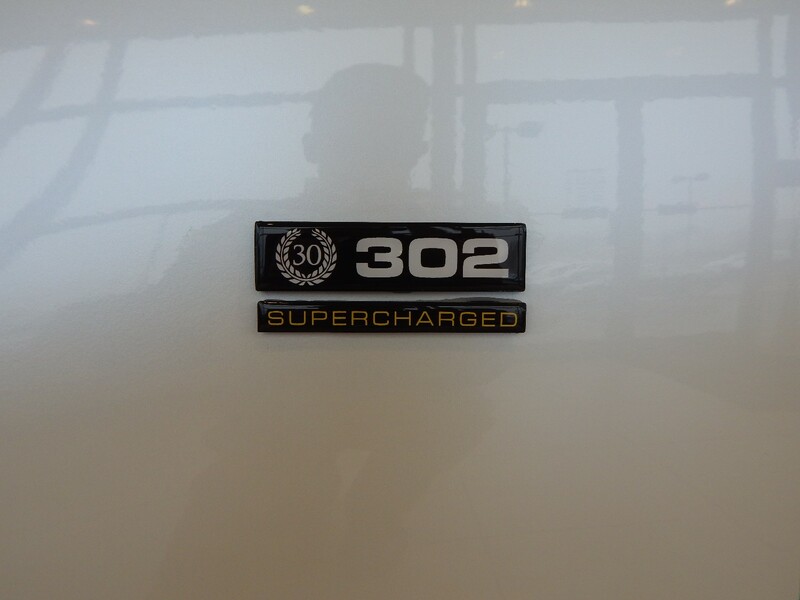 In addition to the special edition SA-30 insignia on the serialized dash plaque, interior badging and SA-30 carpeting; the seating has been completely refreshed with a black leather and white perforated alcantara treatment that brings the 30th Anniversary livery to the drivers’ cabin as well. 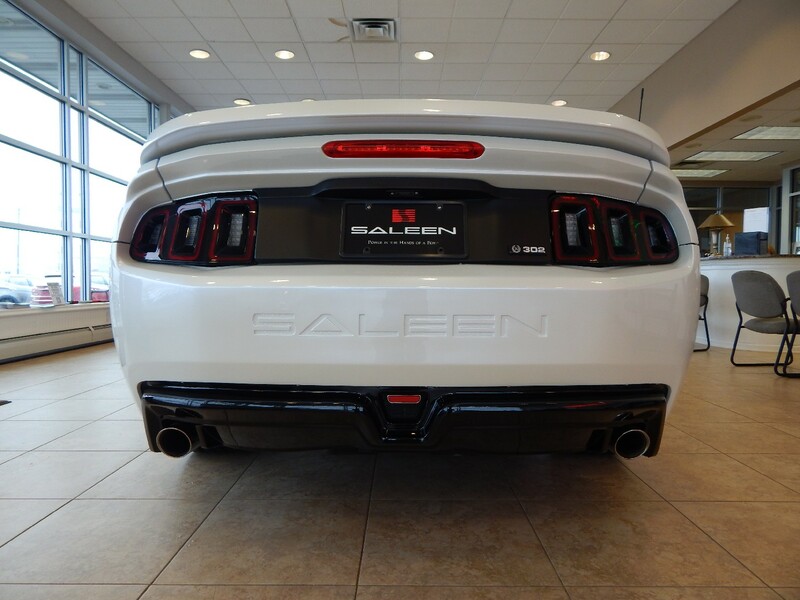 An optional complete interior reconfiguration in the form of a 2-seater Fastback setup is also available on each of the SA-30 Saleen models. 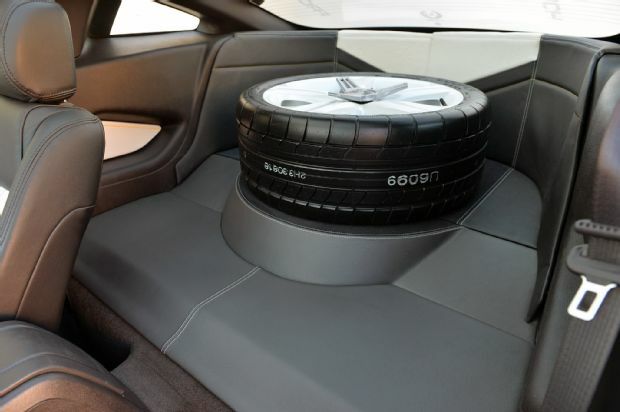 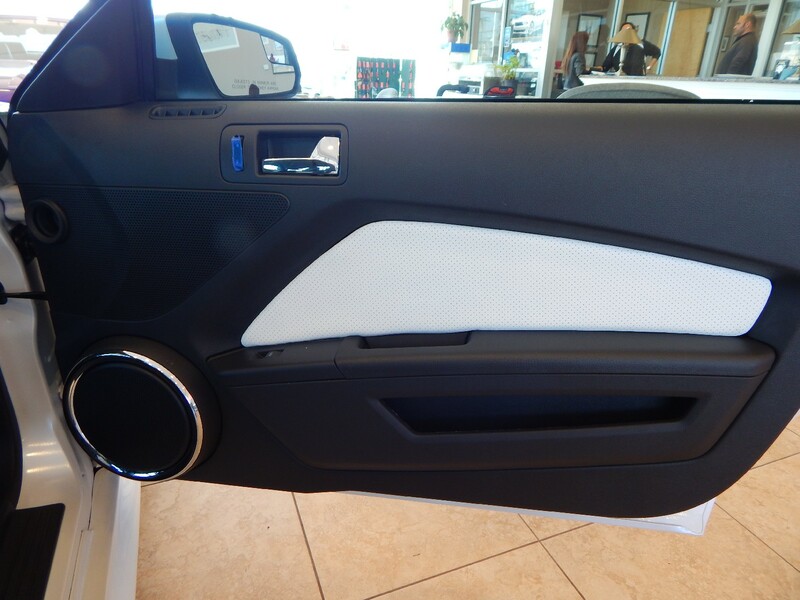 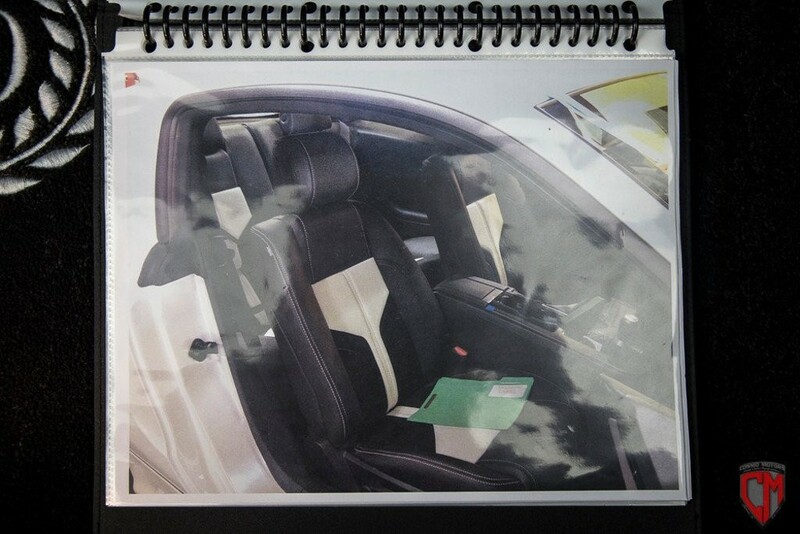 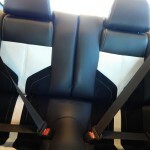 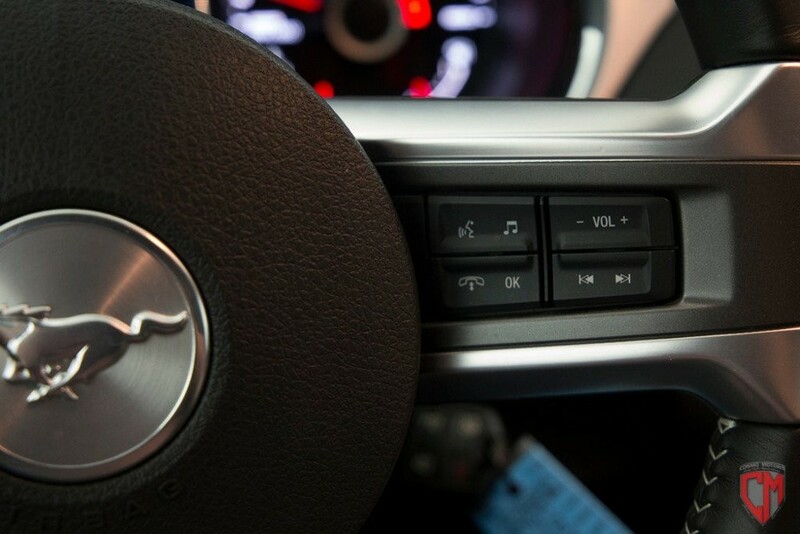 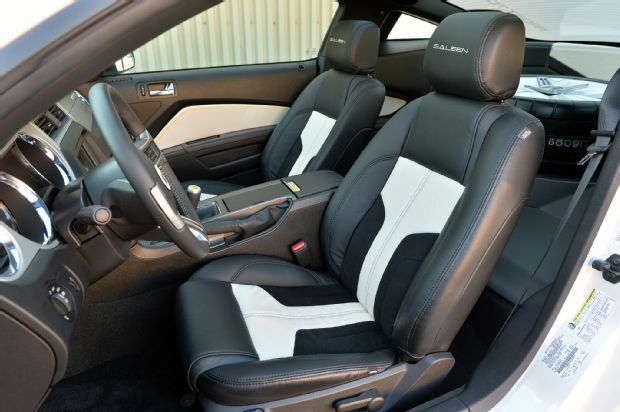 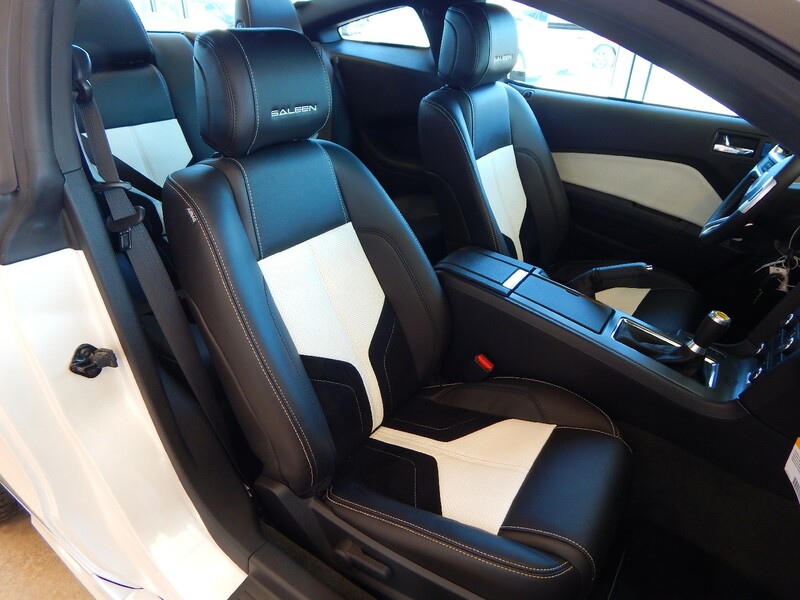 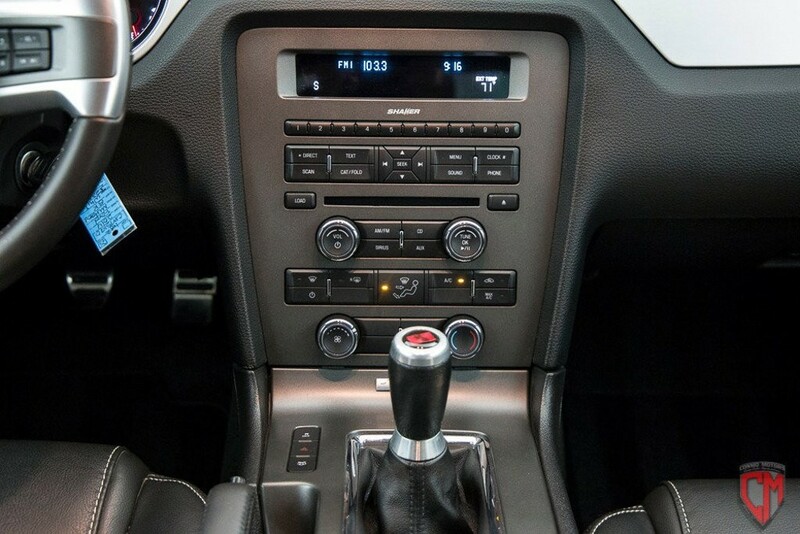 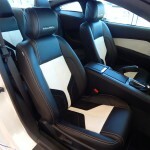 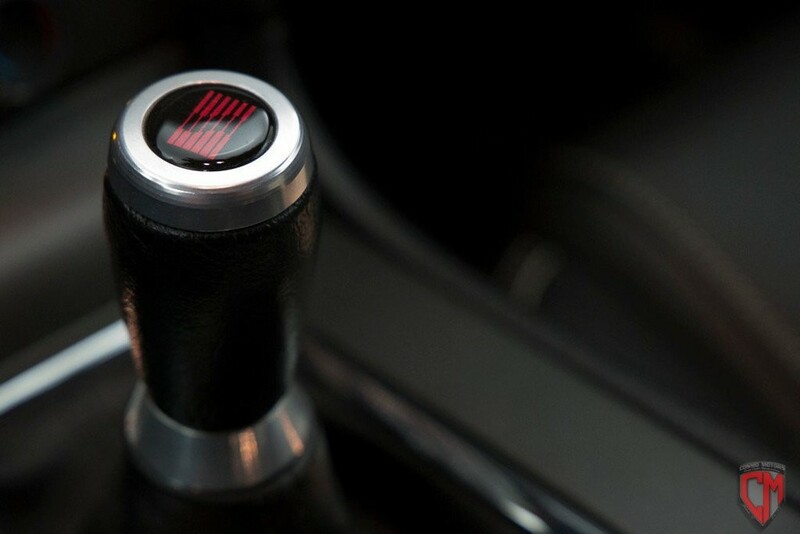 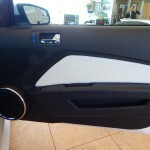 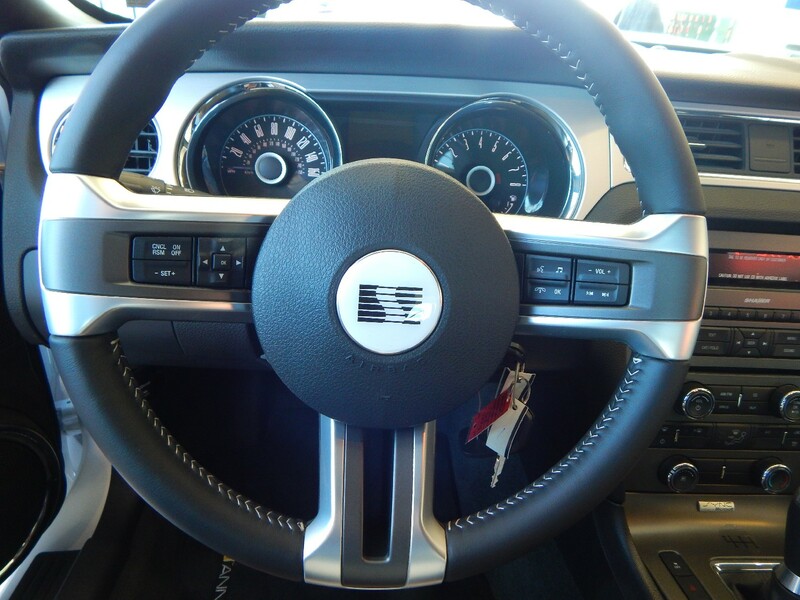 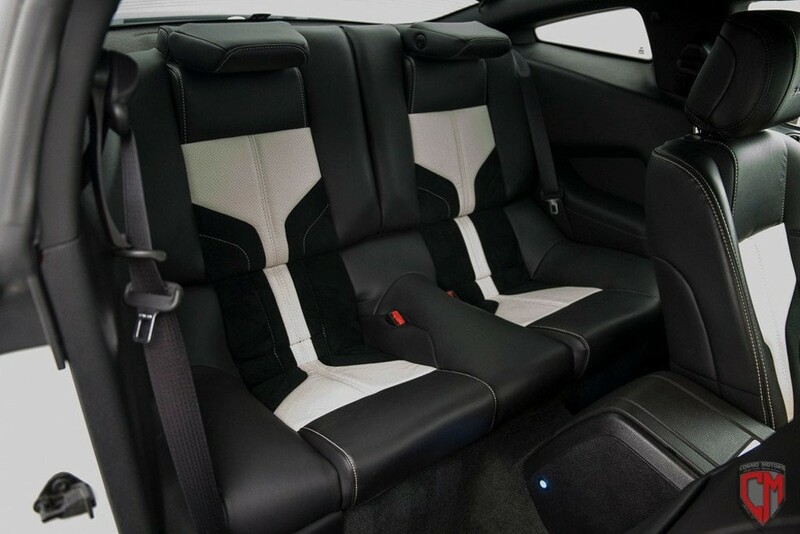 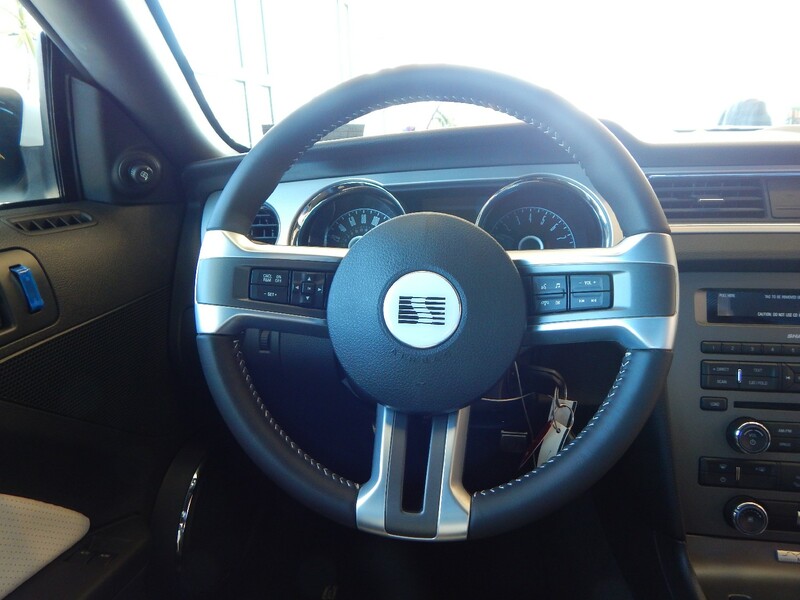 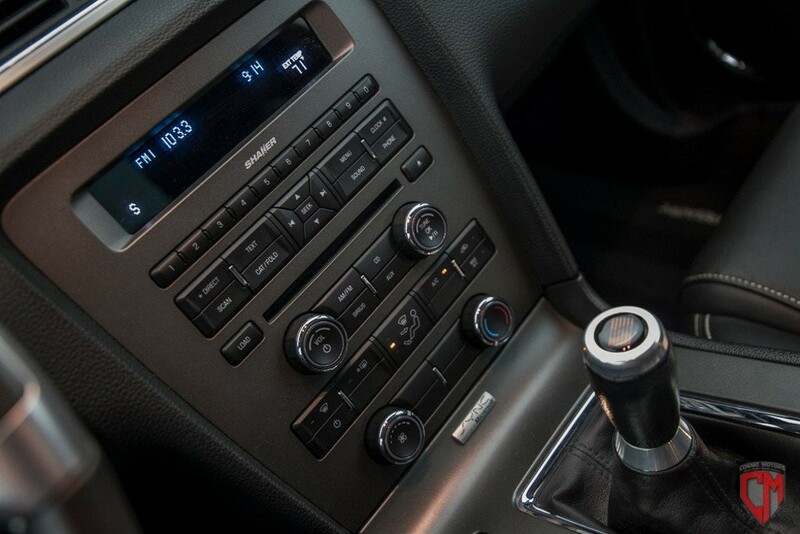 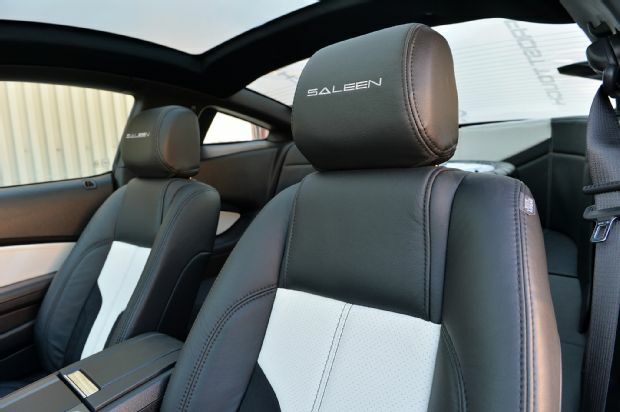 This Saleen tailor-made interior package is the ultimate addition to the SA-30. 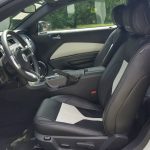 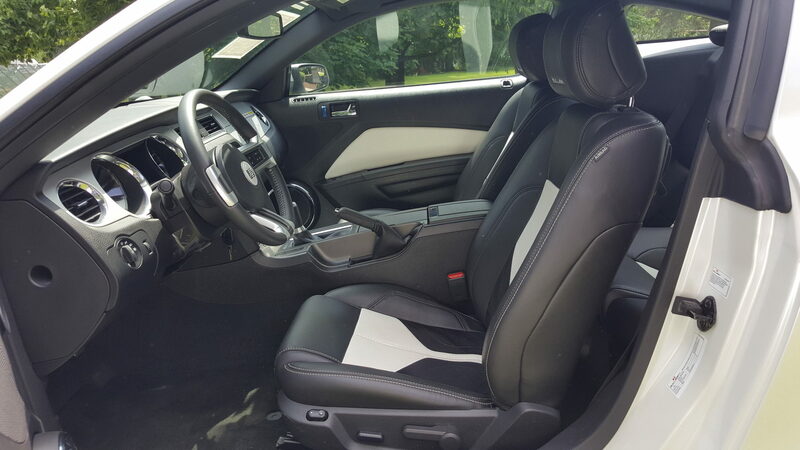 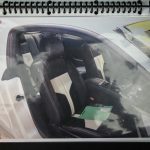 It starts with completely removing the rear seat and rear deck, then the fabrication creates a true racecar type interior transformation with custom formed panels to separate the cabin from the trunk area. 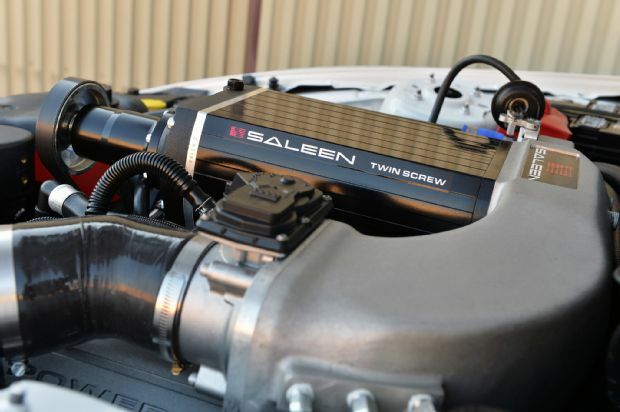 Adding to the structure while improving handling is a race style cross-brace that ties in to the rear shock towers. 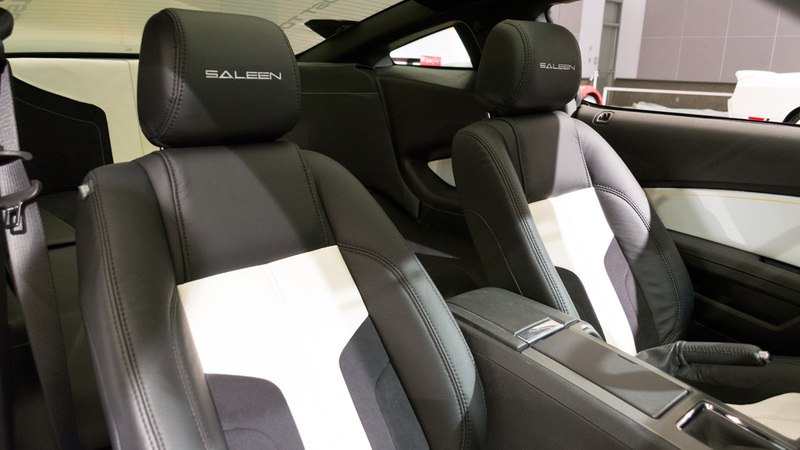 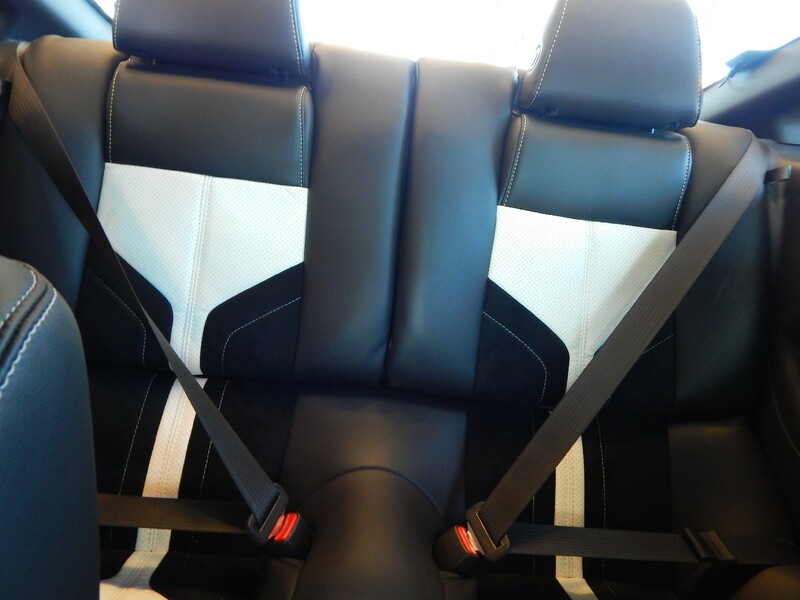 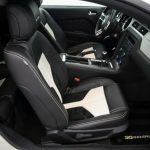 Following the fabrication, Saleen crafts tailor-made leather to give a final fit and finish to the ‘rear seat delete’ option. 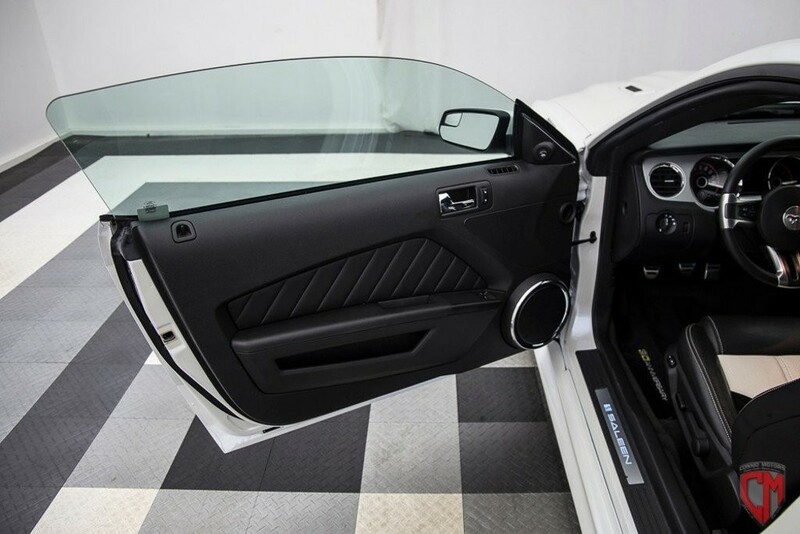 The distinct SA-30 options are not only prepared for the interior but also projects outward in a familiar way. 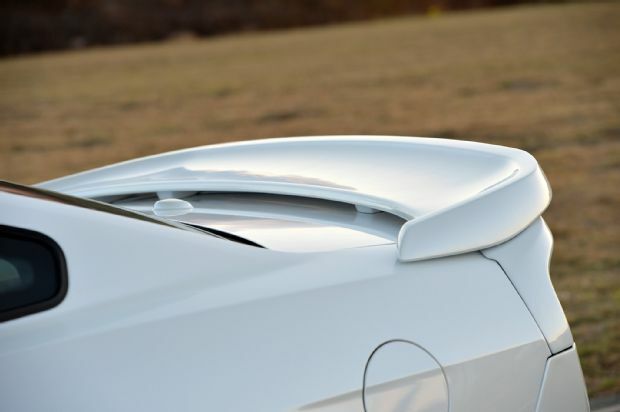 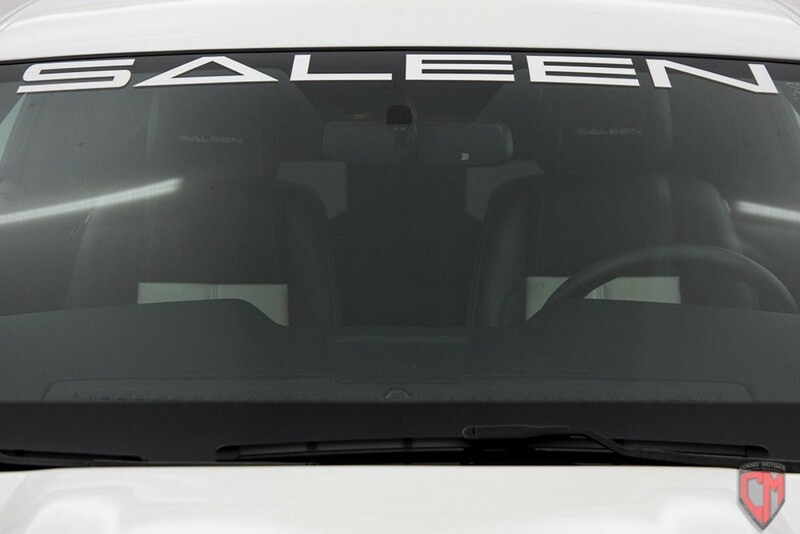 Saleen SA-30 302 model will also have a Saleen panoramic roof available option with a technological advancement, Saleen Frost-Touch Glass. 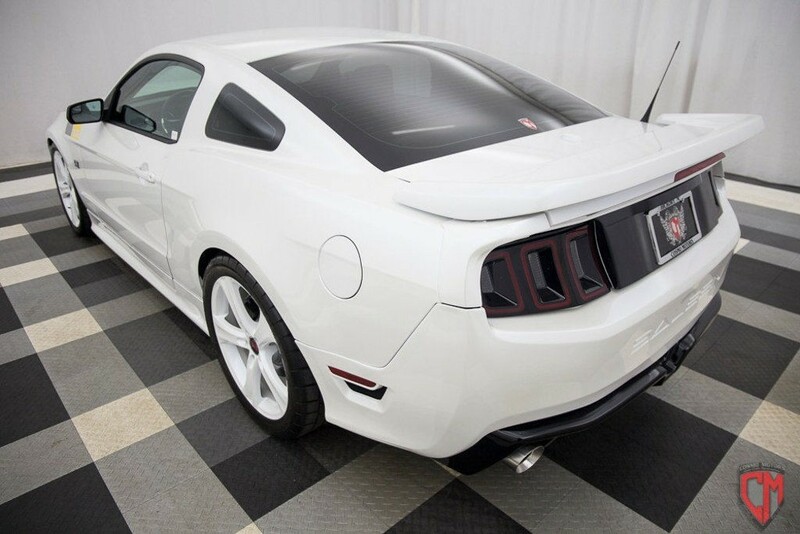 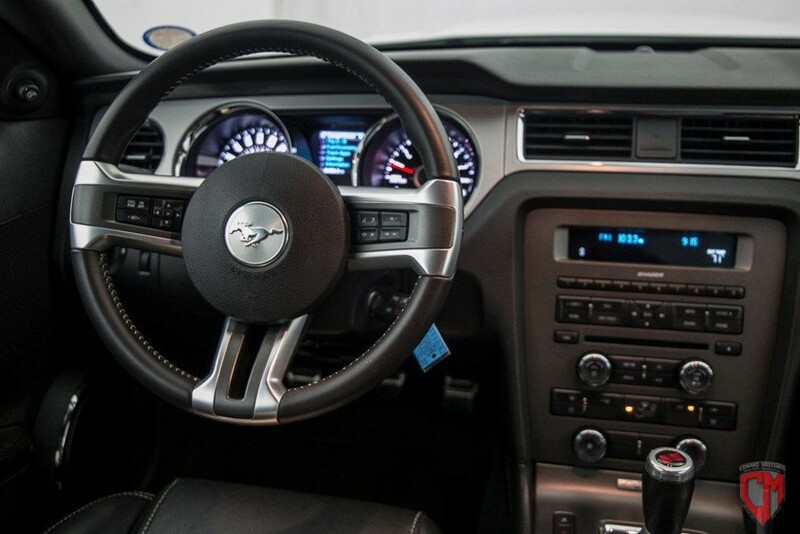 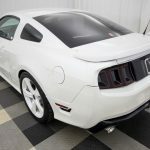 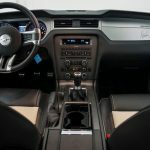 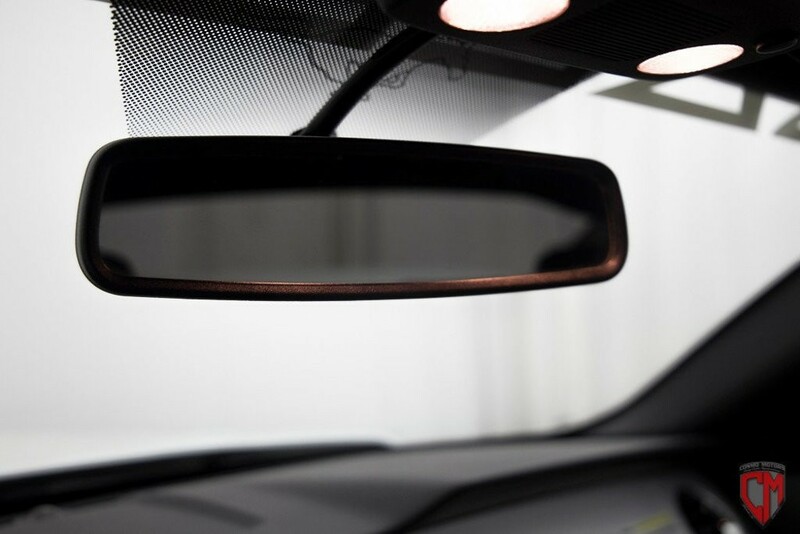 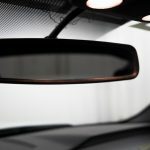 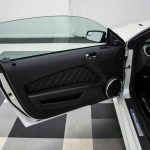 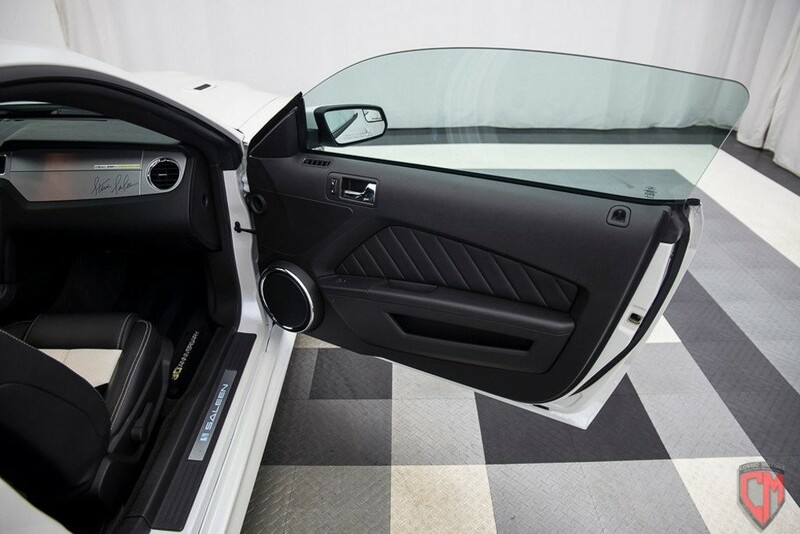 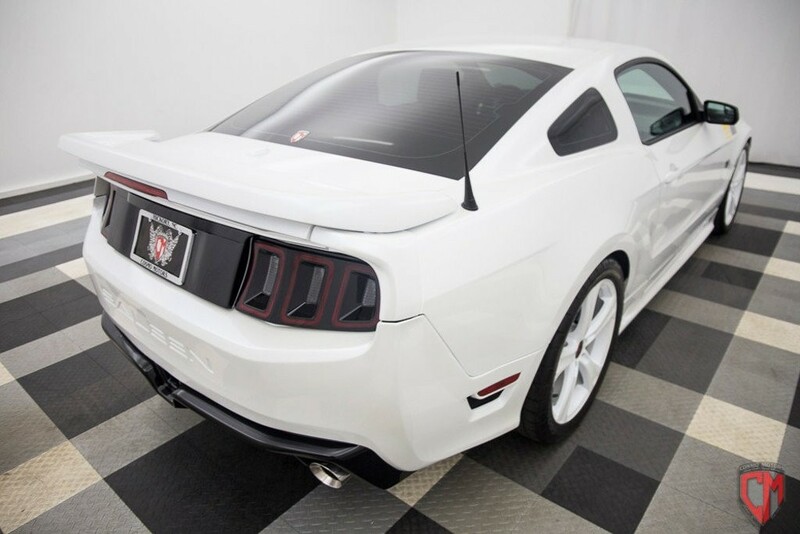 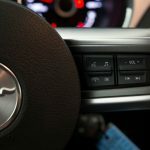 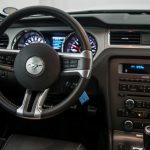 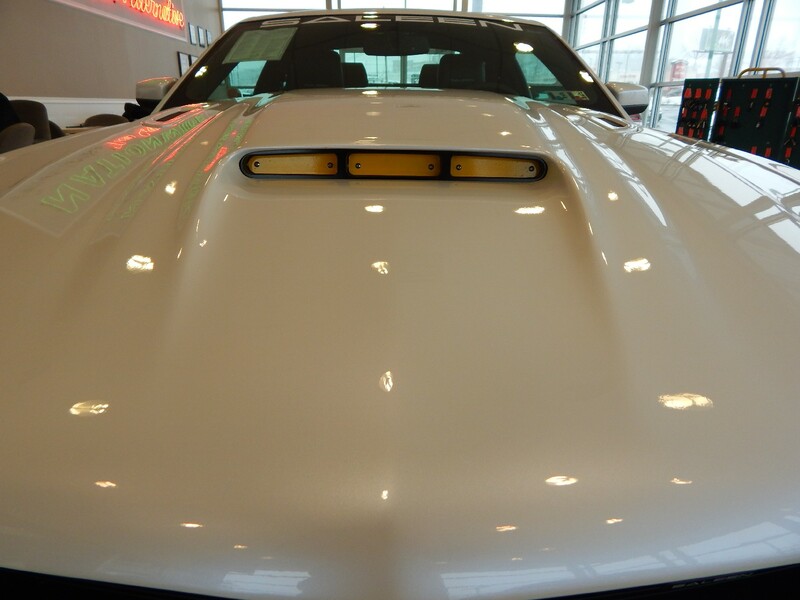 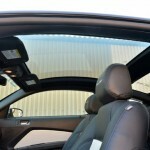 Debuting on the SA-30 302 Mustang, the Saleen Frost-Touch Glass provides that ability to have a complete panoramic glass roof while giving the option to change it from translucent to opaque with the touch of a button. 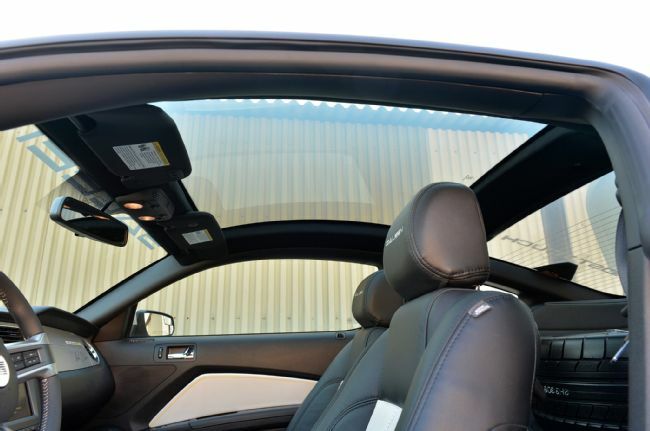 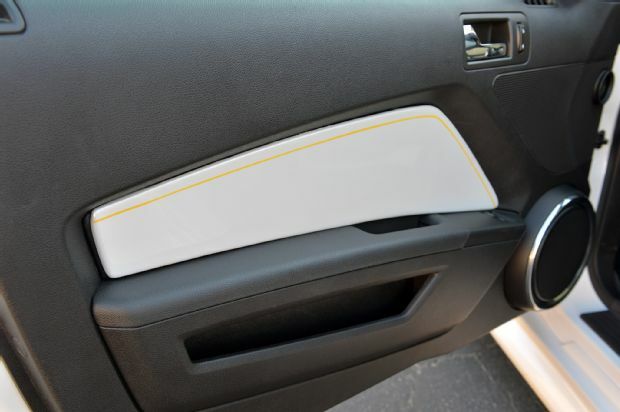 This technology is integrated into the panoramic roof and rear window glass to allow the user to diffuse the light in both areas independently. 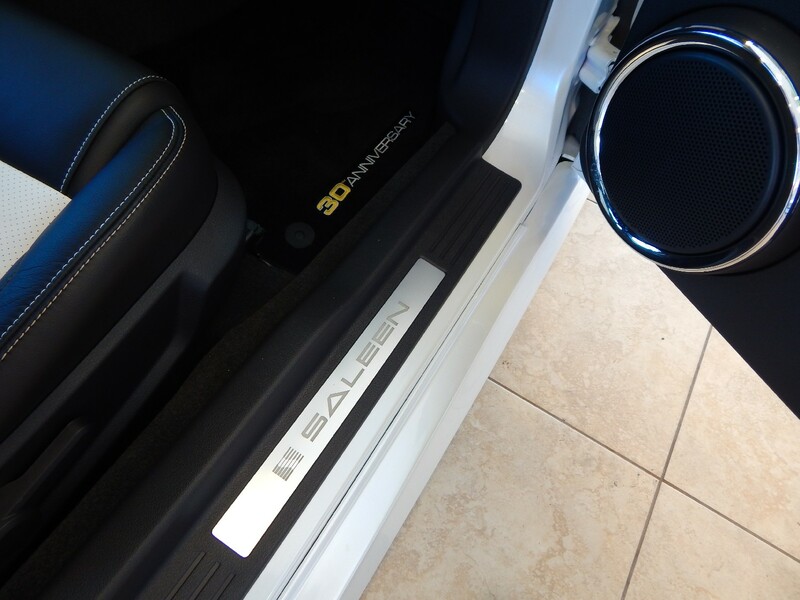 To quickly bring this technology to market for the SA-30 302, Saleen worked closely with Southern California based Glass Apps, LLC in a strategic partnership between the two firms. 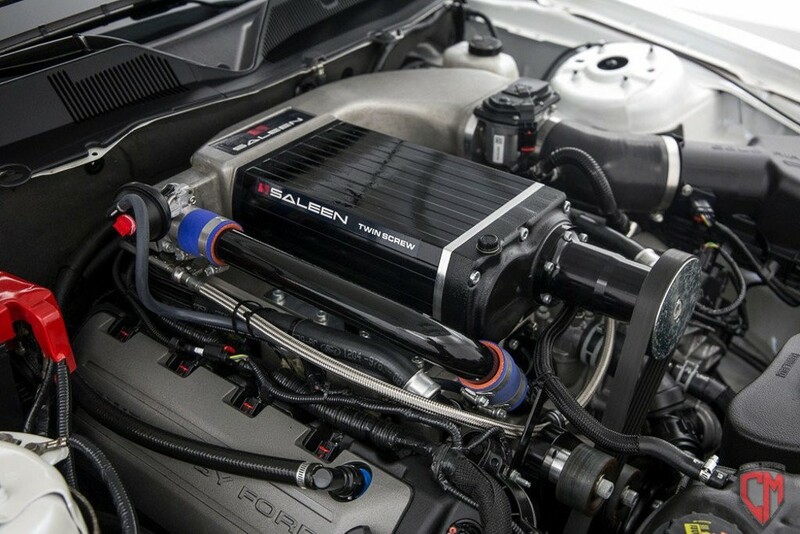 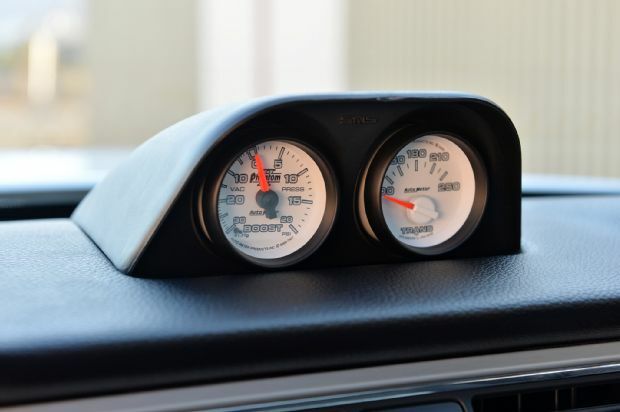 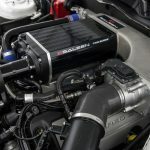 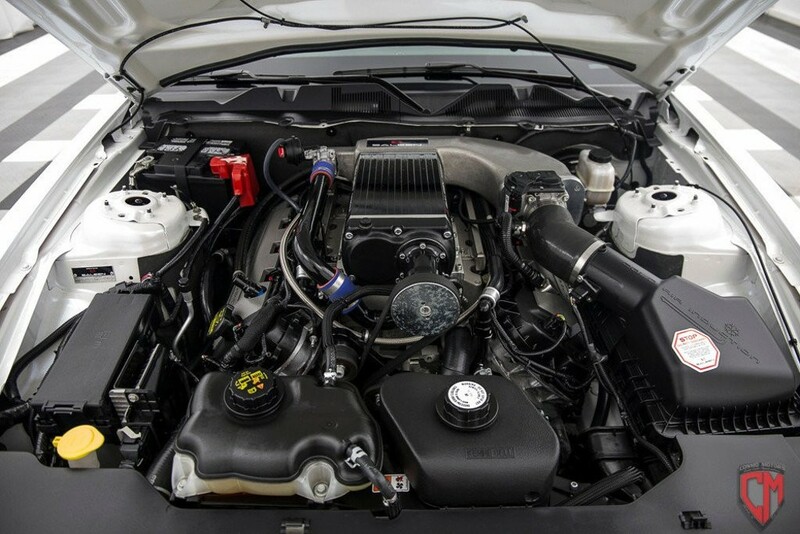 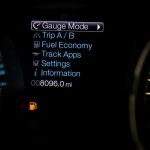 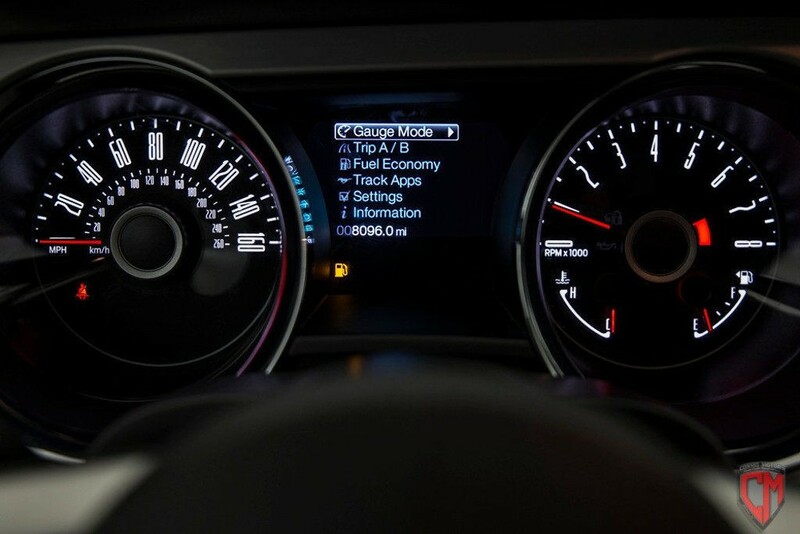 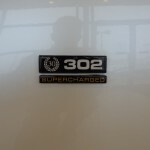 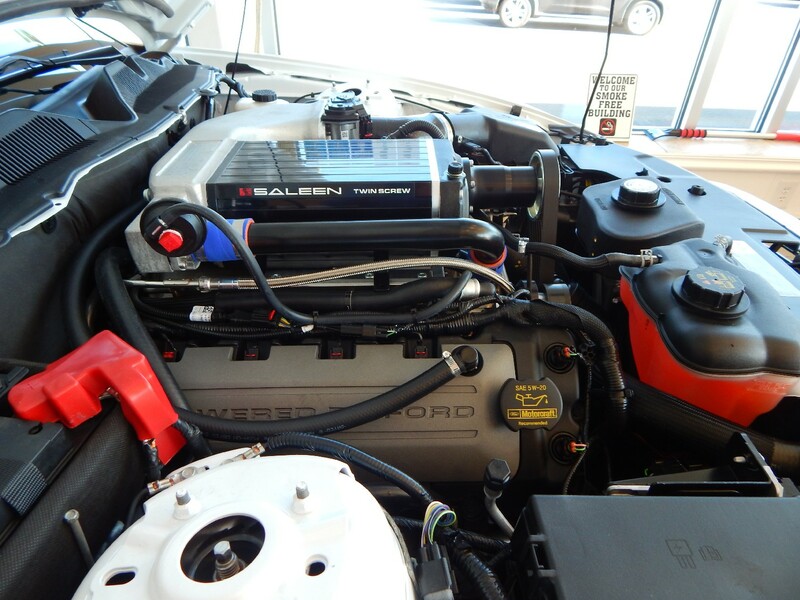 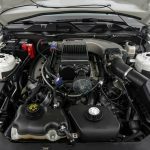 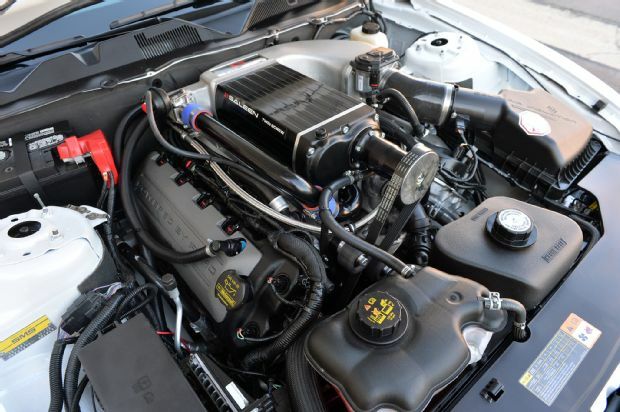 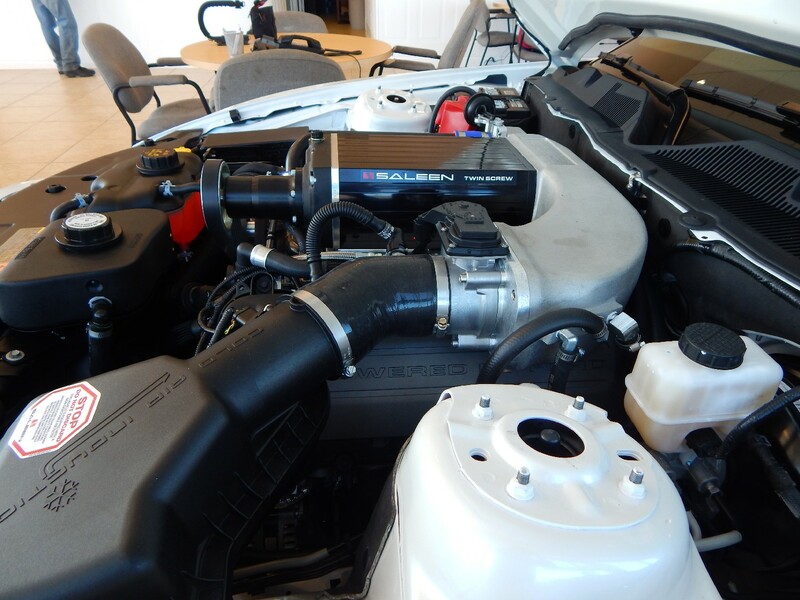 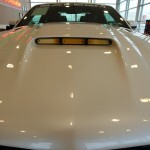 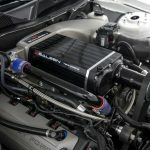 Providing the Speed portion of the Speed | Science | Style trifecta is a well-integrated Saleen supercharged package adorning each of the SA-30 power plants. 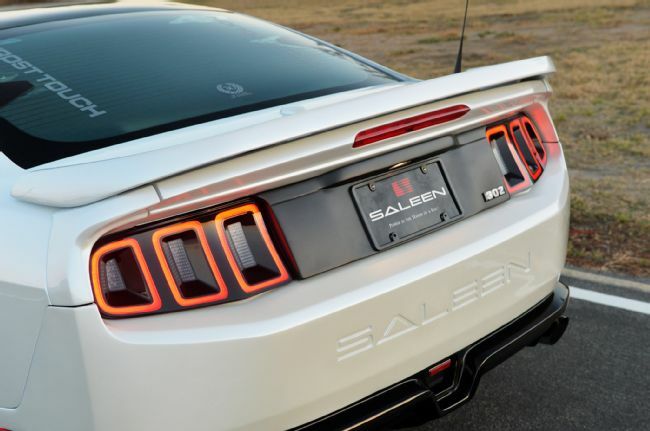 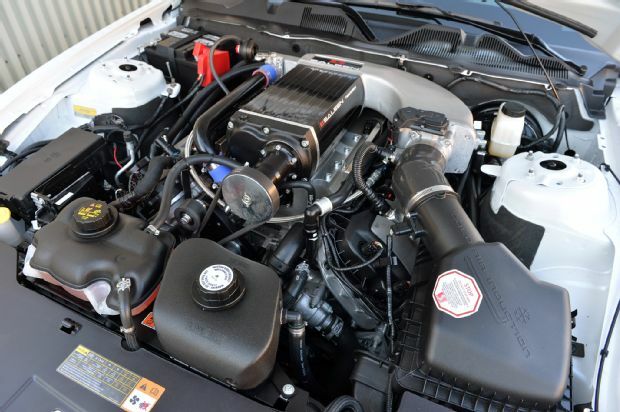 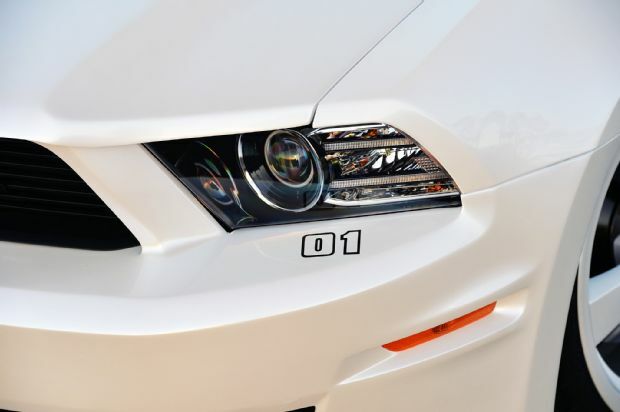 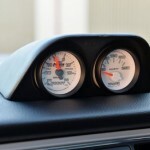 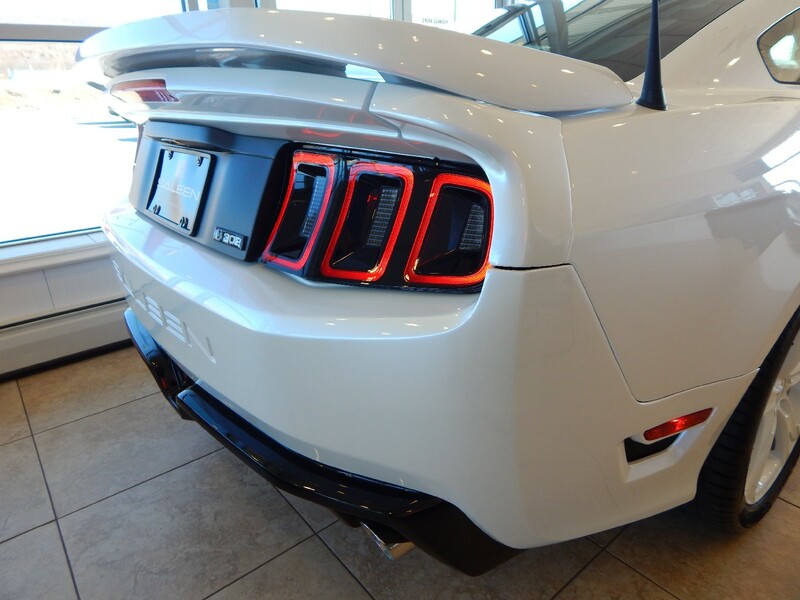 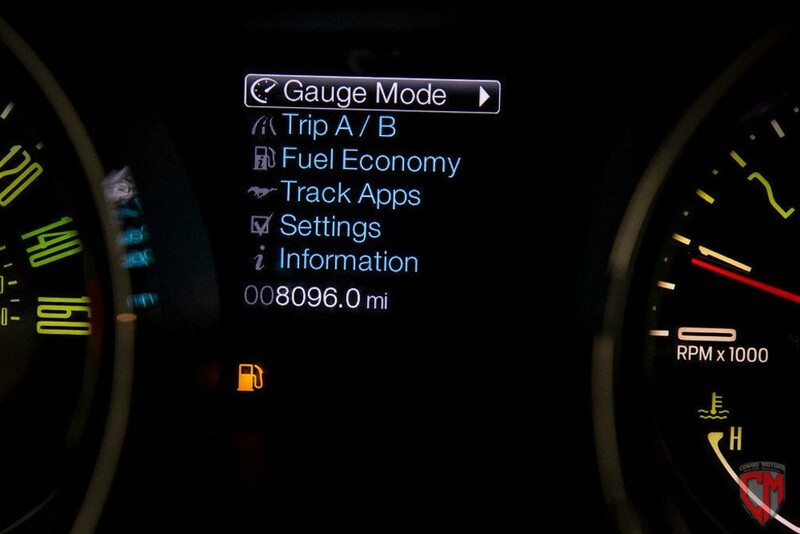 Horsepower numbers vary for each SA-30 platform and will top out at 625HP with the SA-30 Mustang edition. 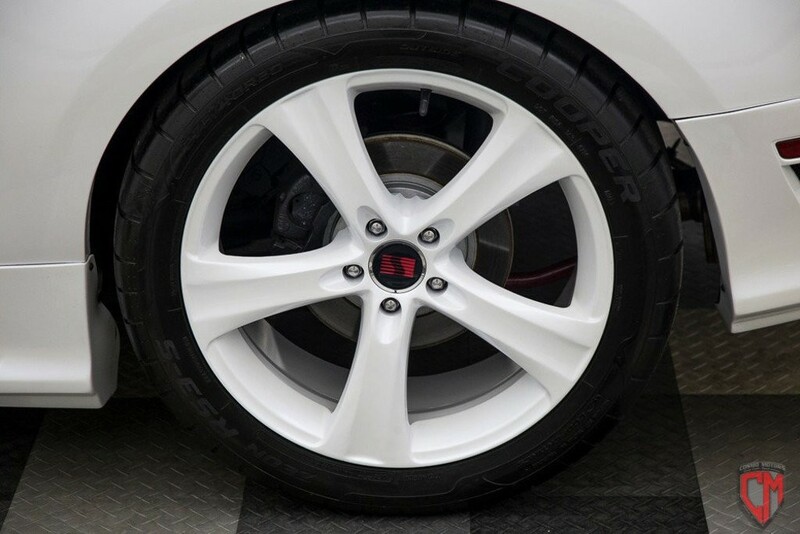 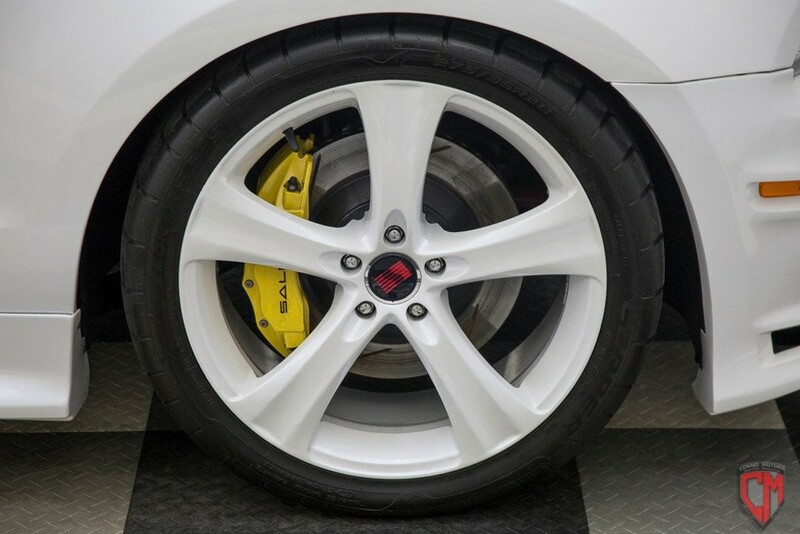 Providing grip and traction assistance is the Saleen suspension package that carries over from the current Saleen production vehicles. 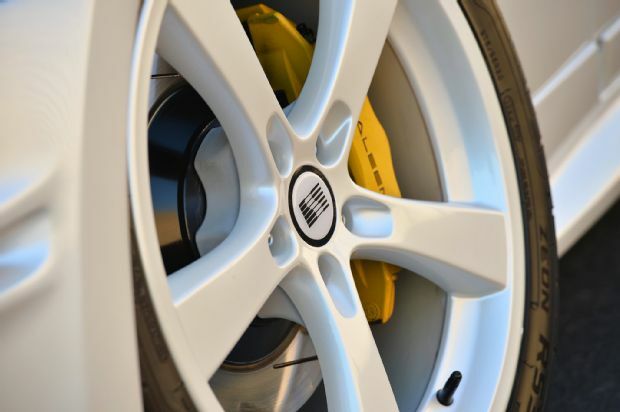 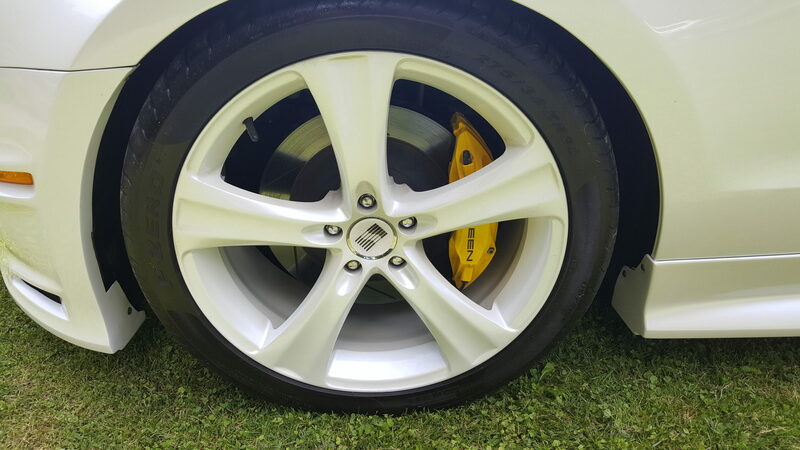 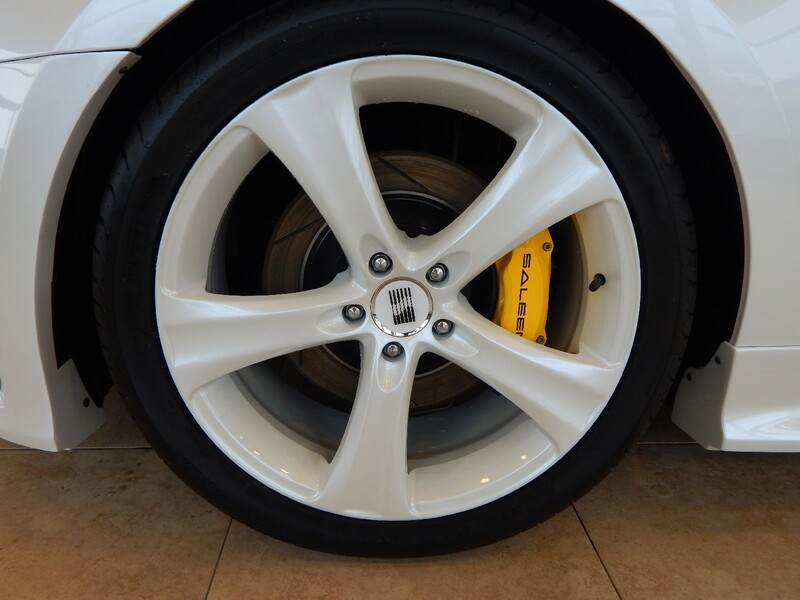 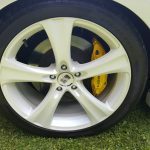 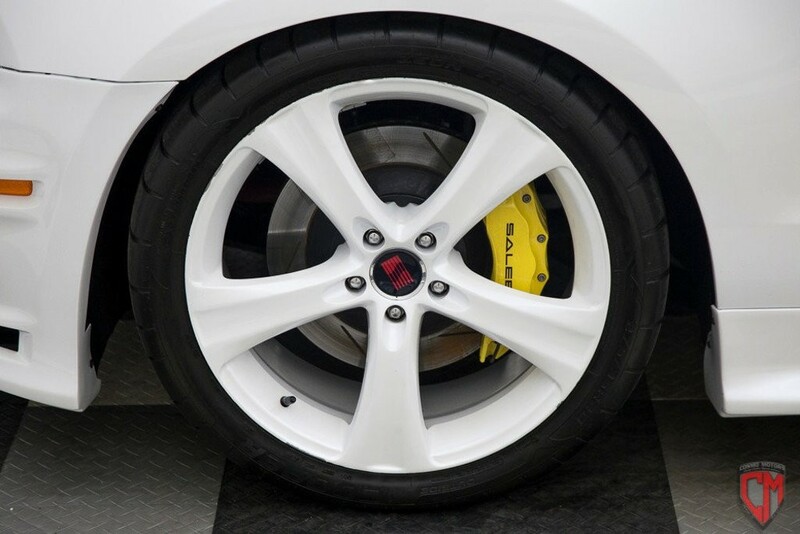 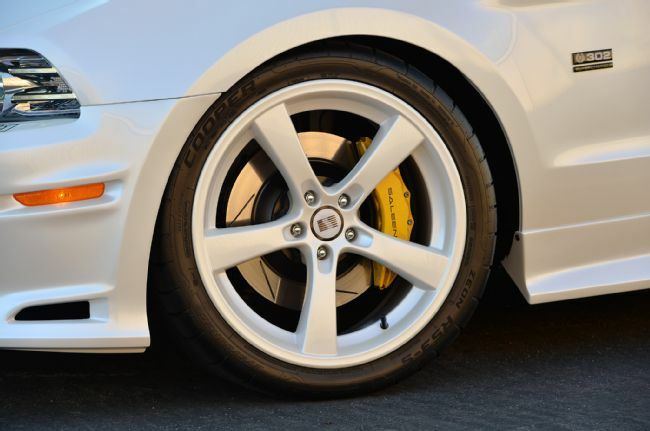 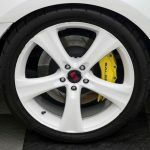 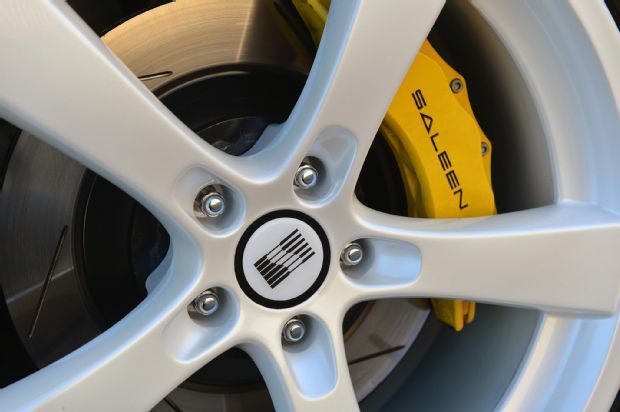 And stopping power is on demand with the yellow powder-coated Saleen big brake kits all as standard equipment for the SA-30 vehicles. 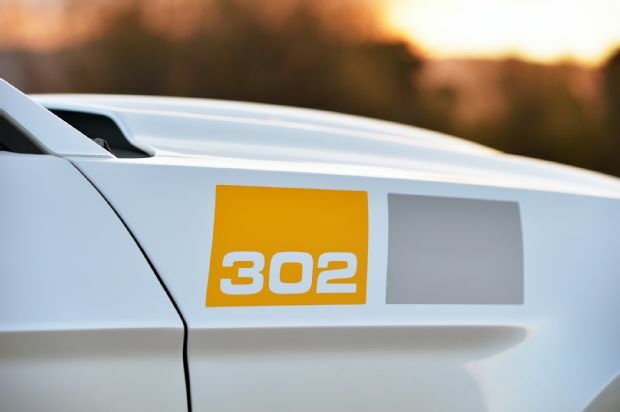 As a total run of just ten SA-30 Camaros, ten SA-30 Challengers and ten SA-30 Mustangs availability is expected to end quickly for these exclusive models. 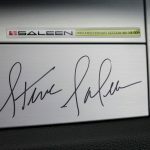 MSRP for the SA-30 model is set at $95,000 before options. 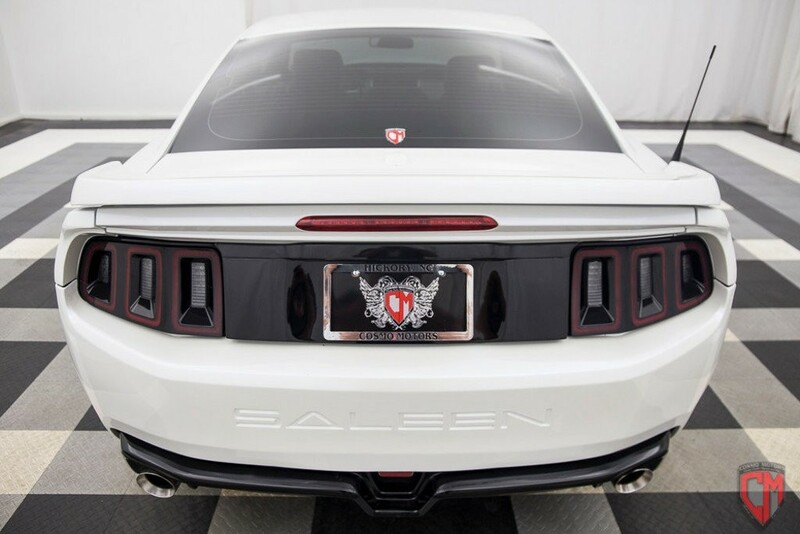 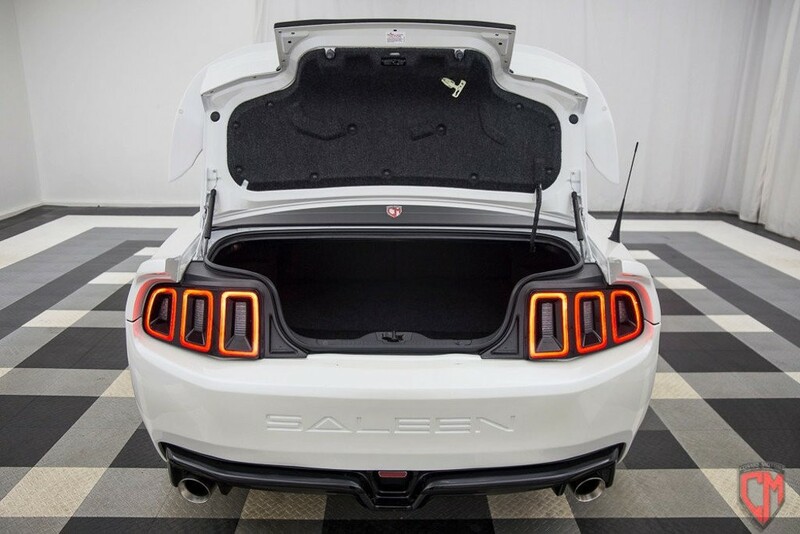 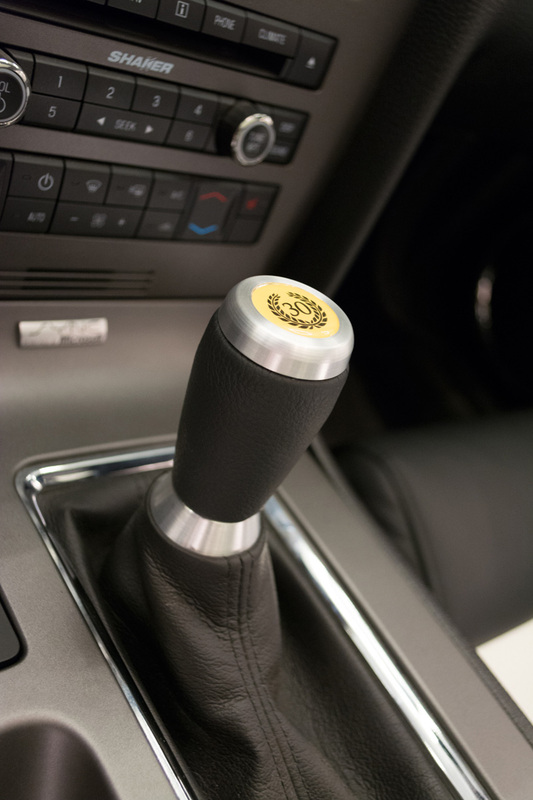 Orders for this and other Saleen vehicles can be placed today at Saleen dealers nationwide, or by contacting Saleen directly for a personalized ordering process which concludes at the nearest Saleen Authorized Dealership. 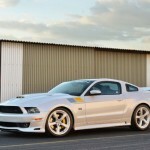 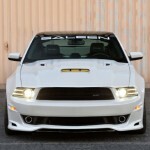 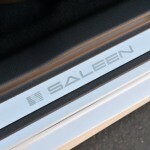 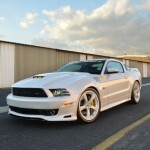 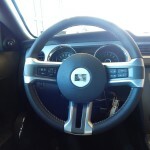 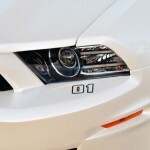 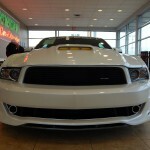 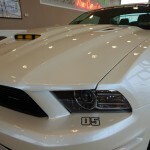 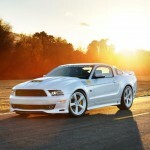 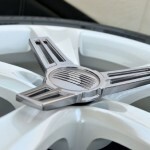 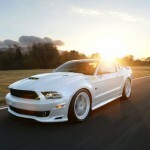 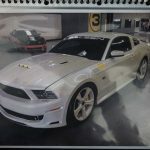 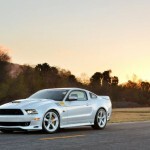 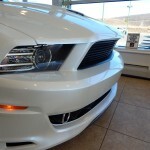 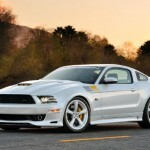 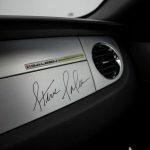 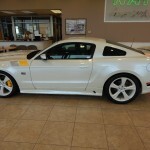 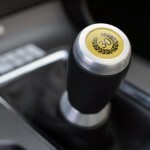 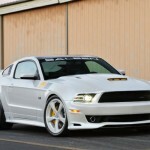 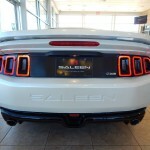 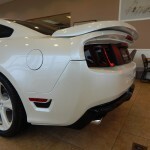 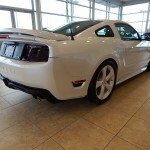 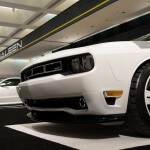 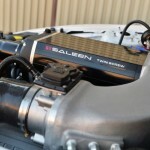 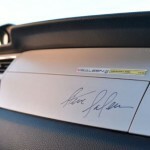 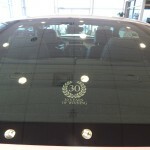 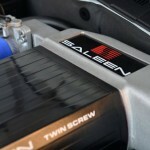 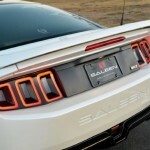 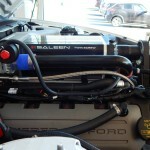 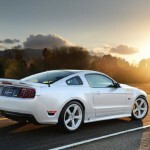 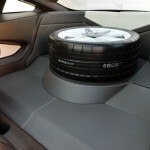 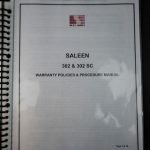 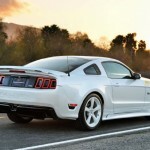 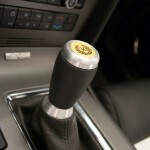 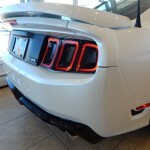 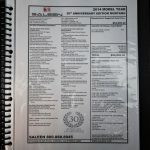 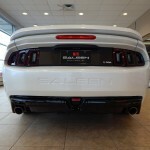 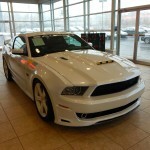 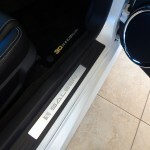 For more information visit www.saleen.com.